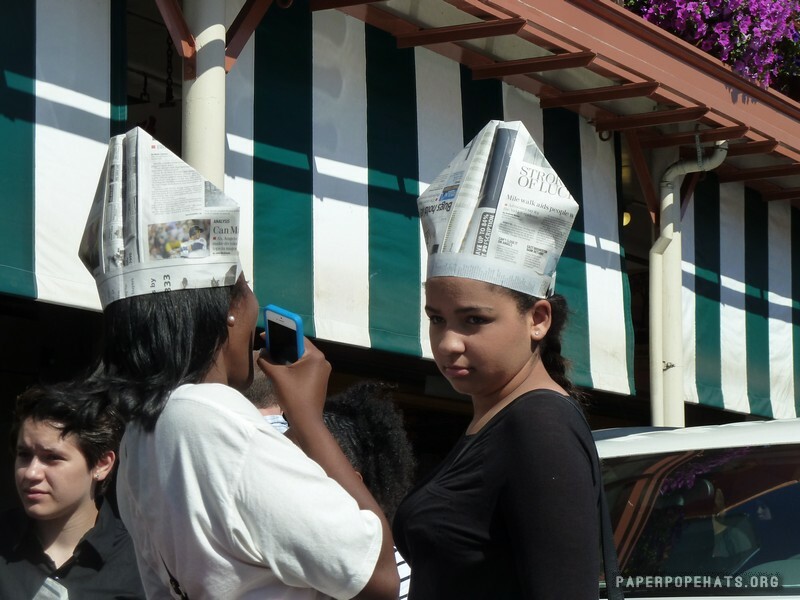 Paper Pope Hats: Because why not? 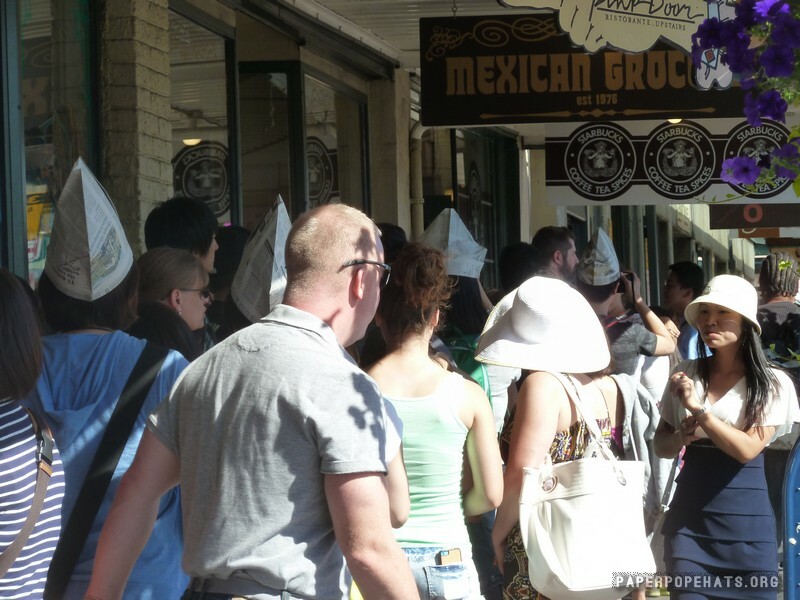 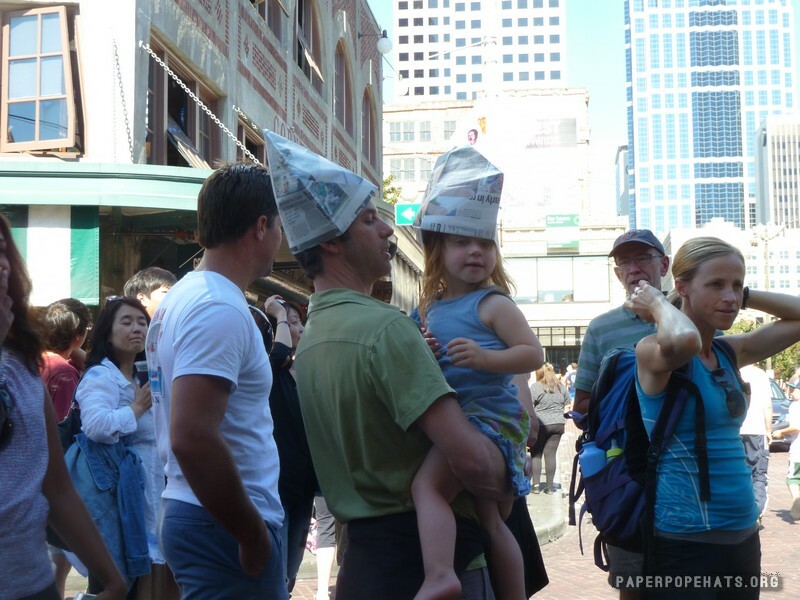 Welcome to Paper Pope Hats! 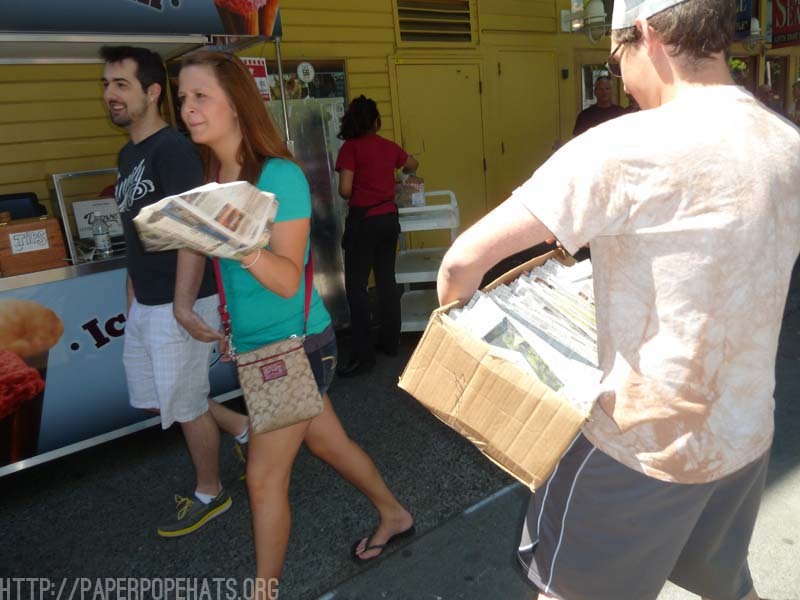 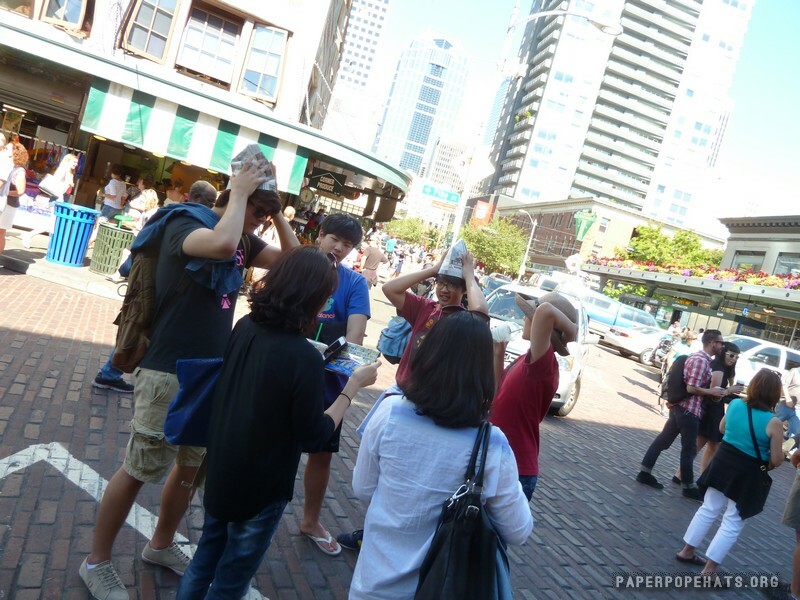 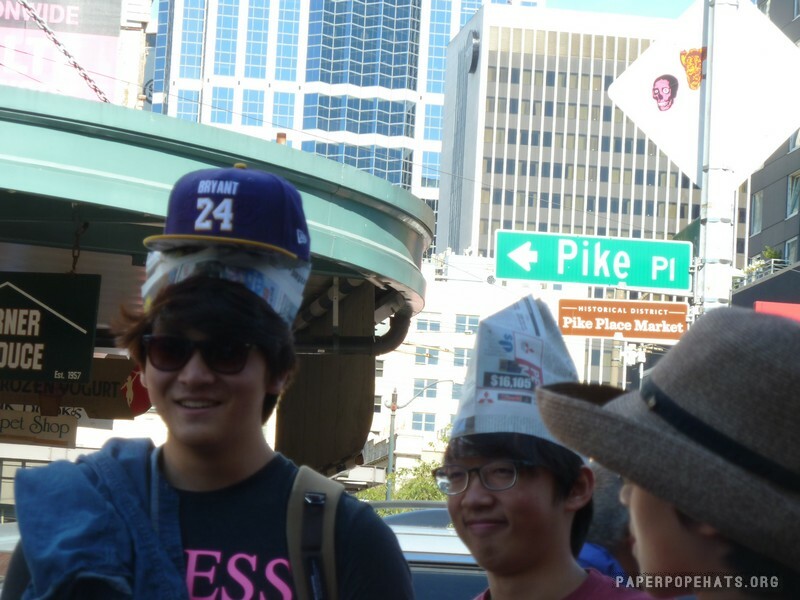 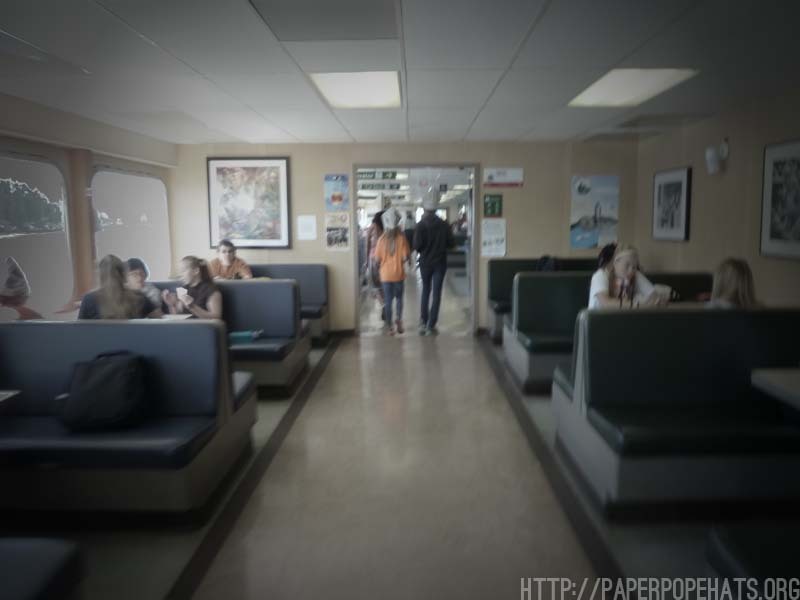 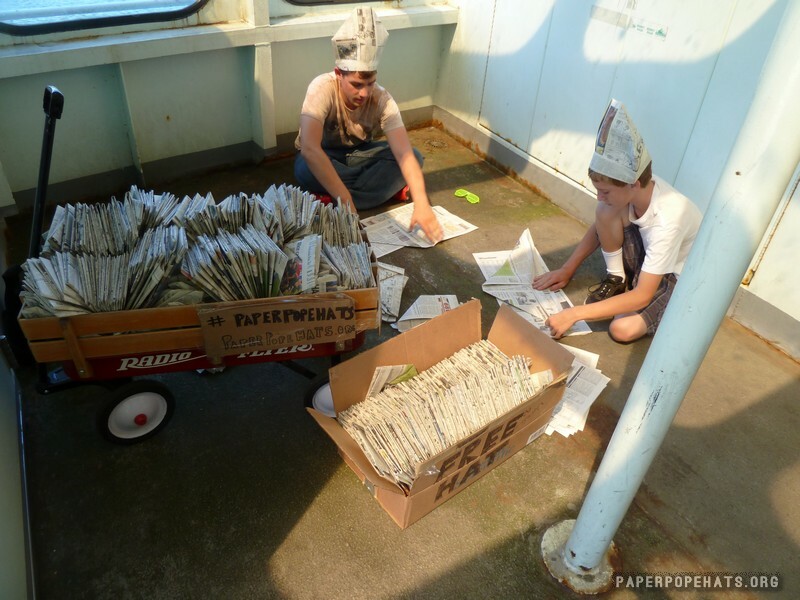 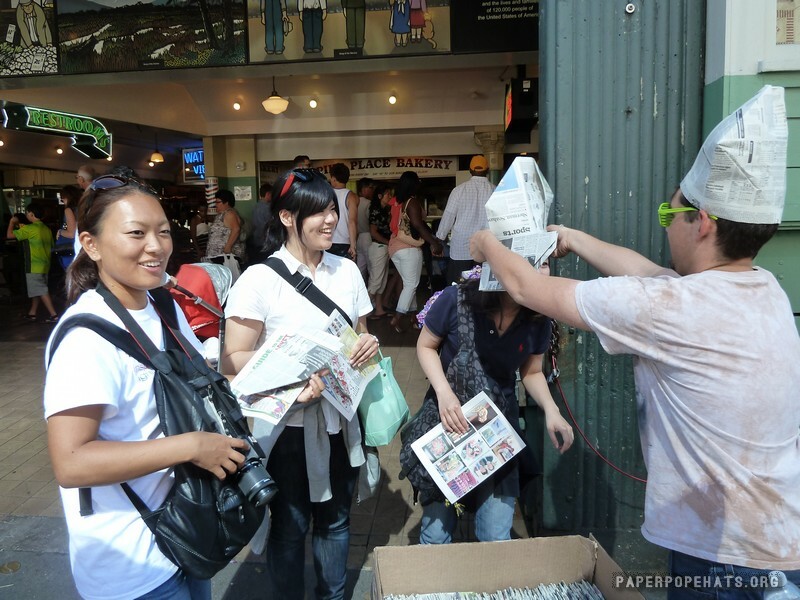 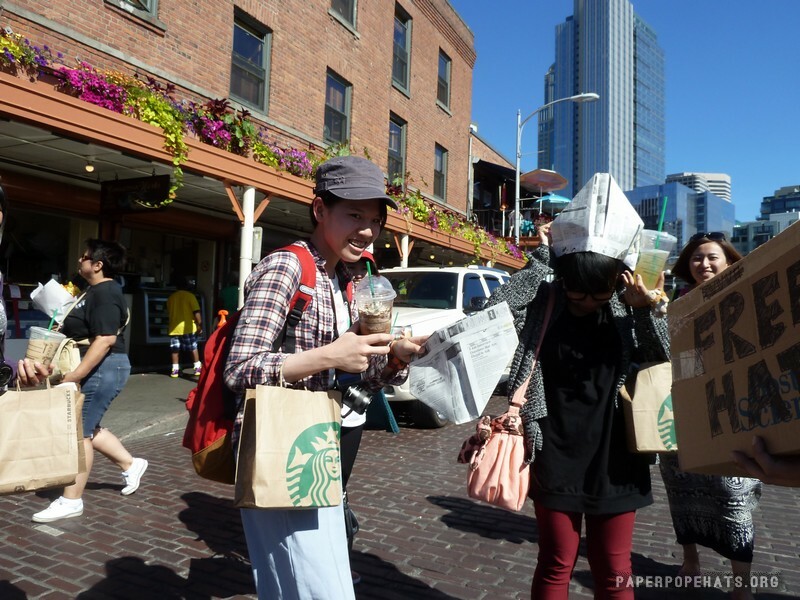 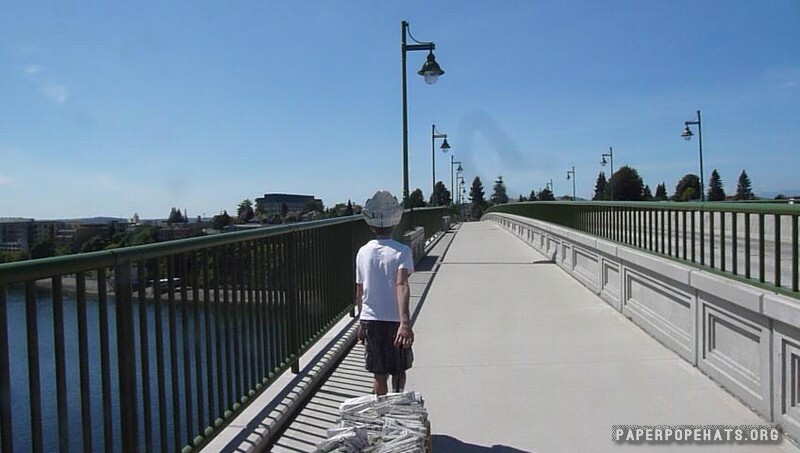 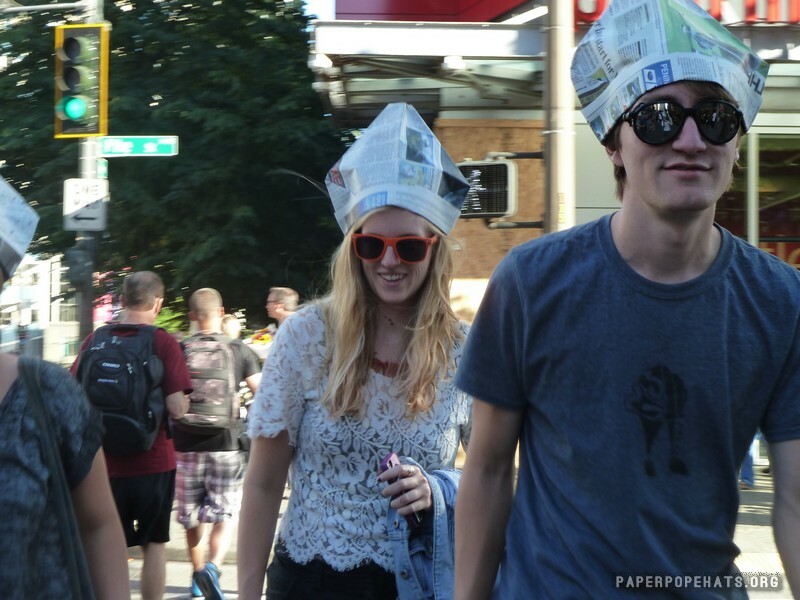 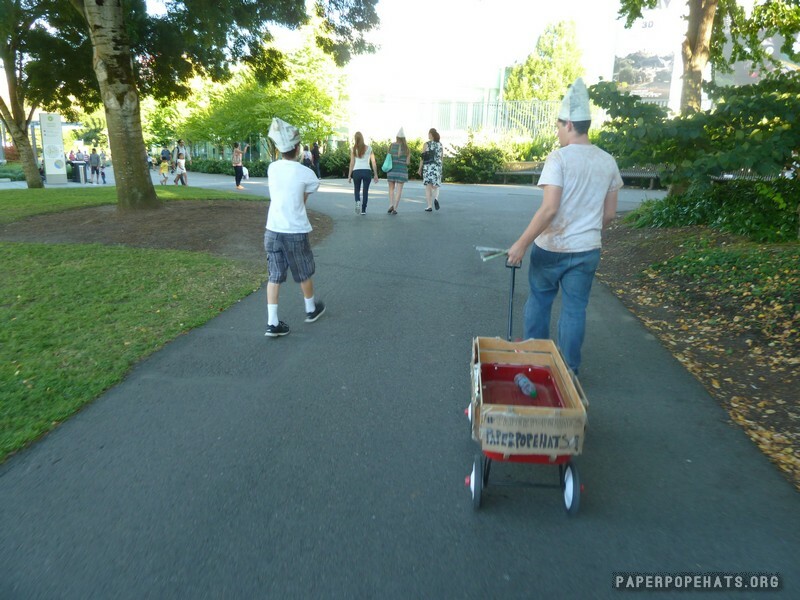 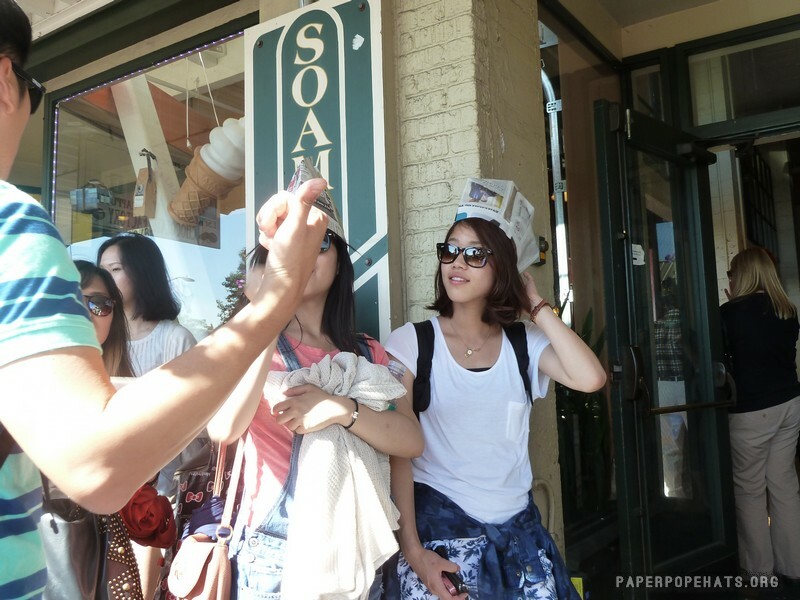 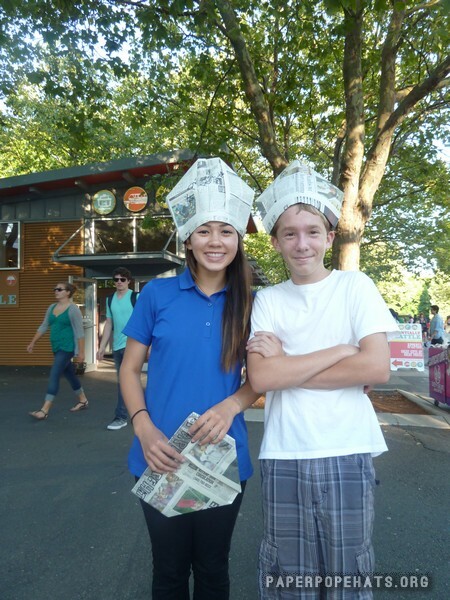 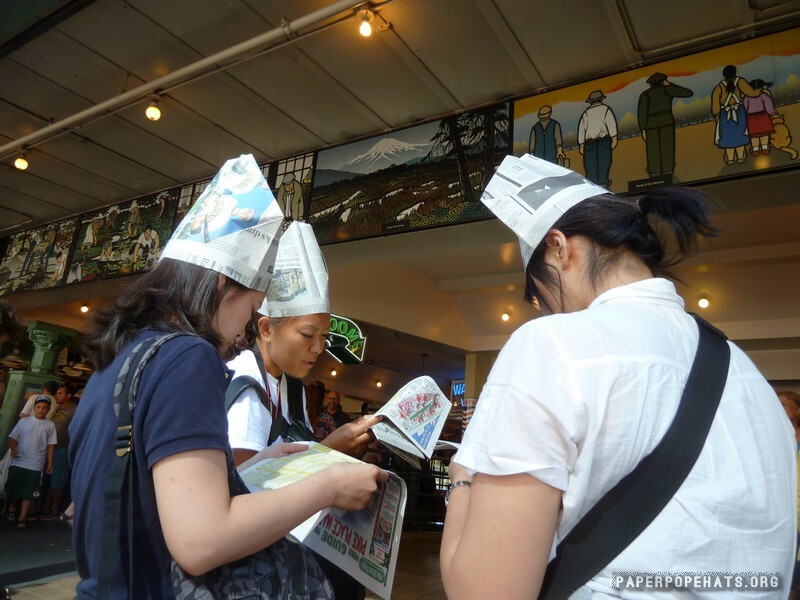 PaperPopeHats.org is a website dedicated to the awesome power of the silly newspaper hat. 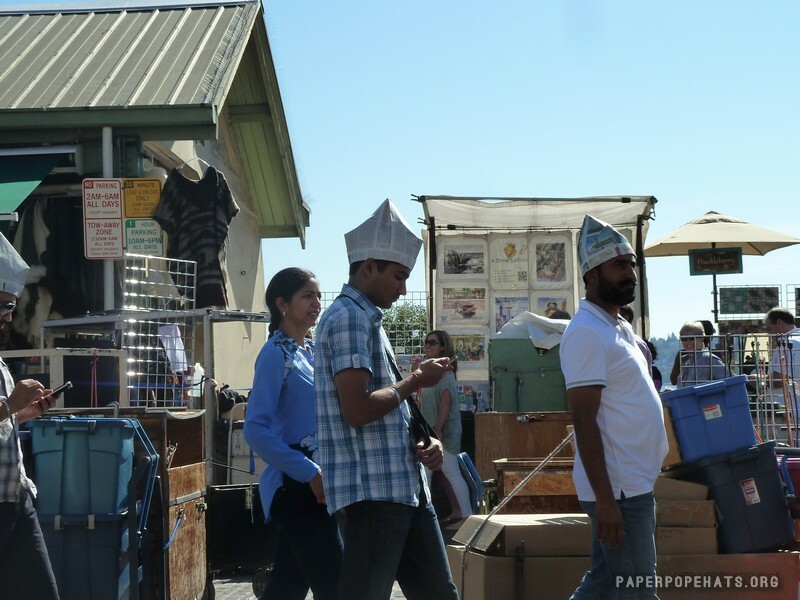 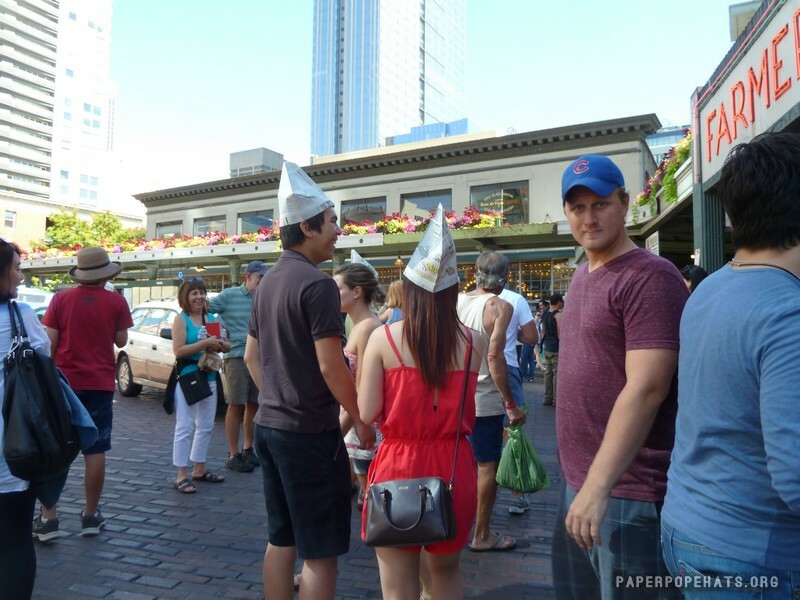 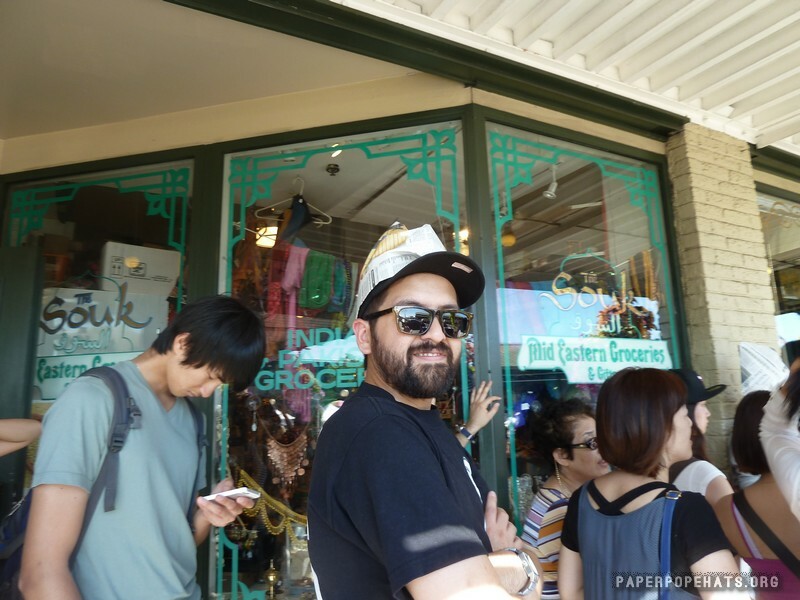 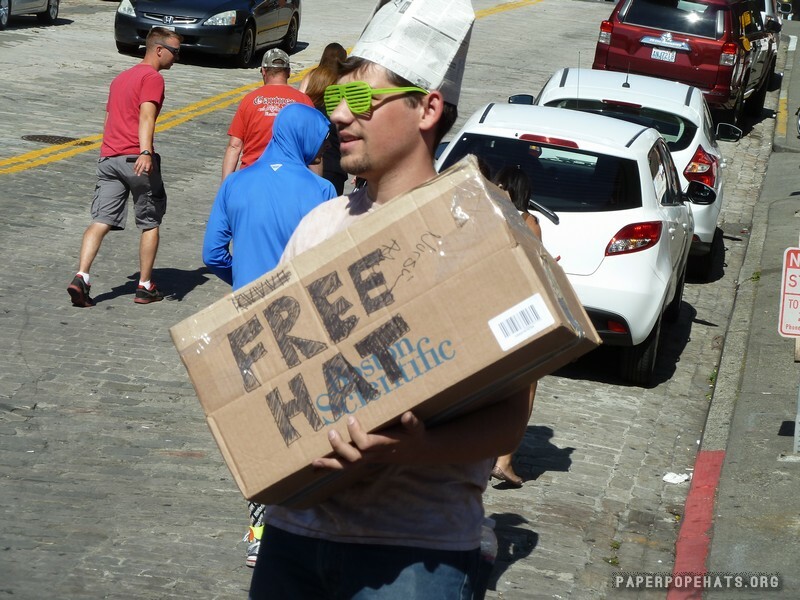 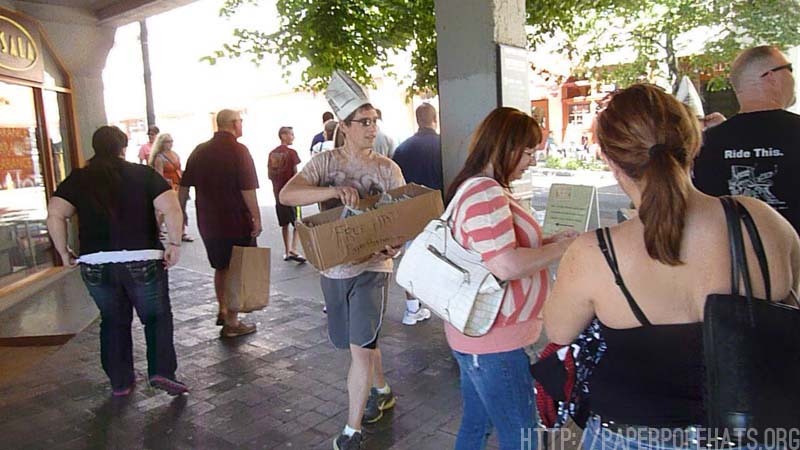 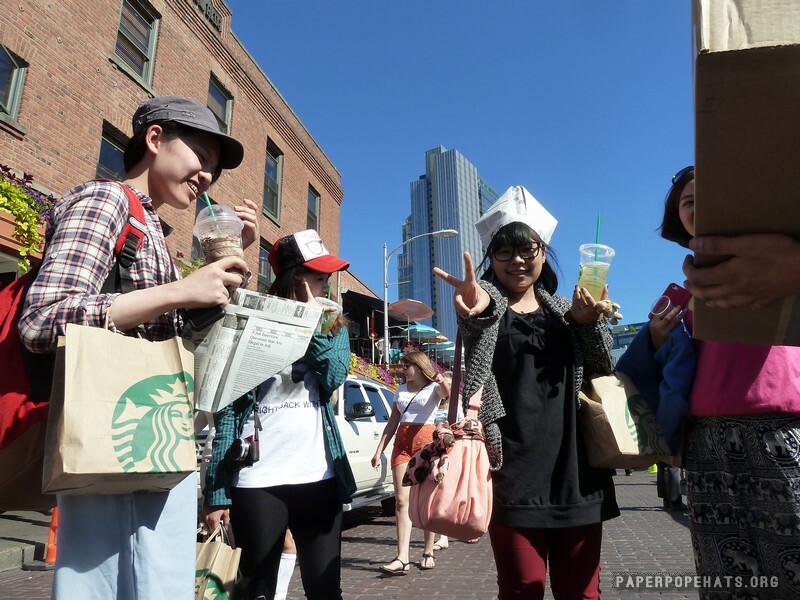 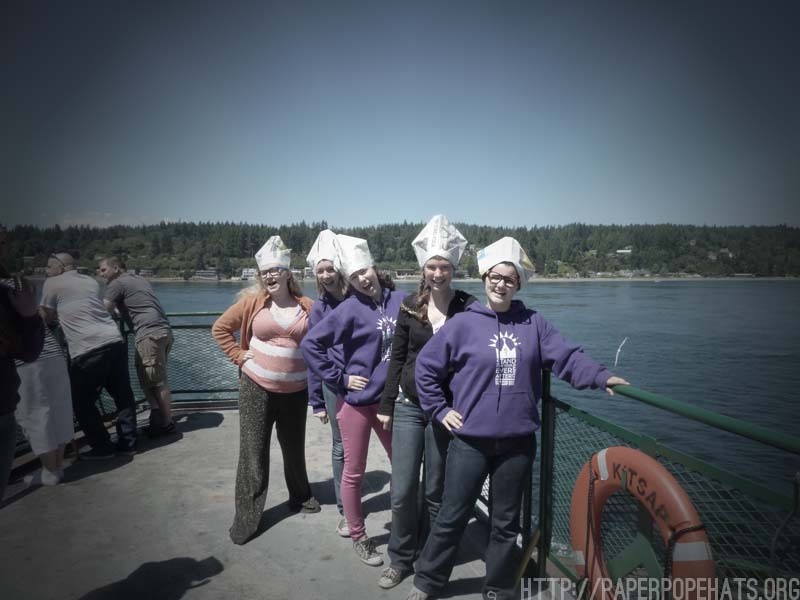 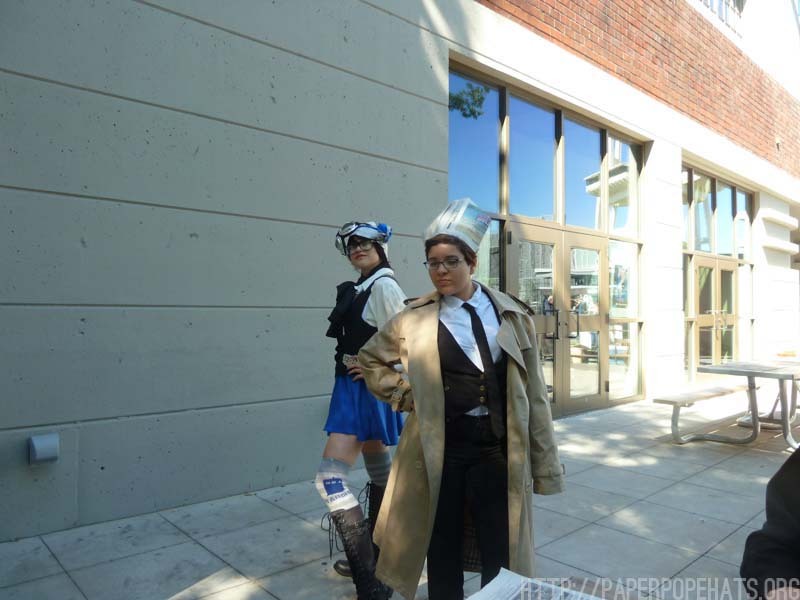 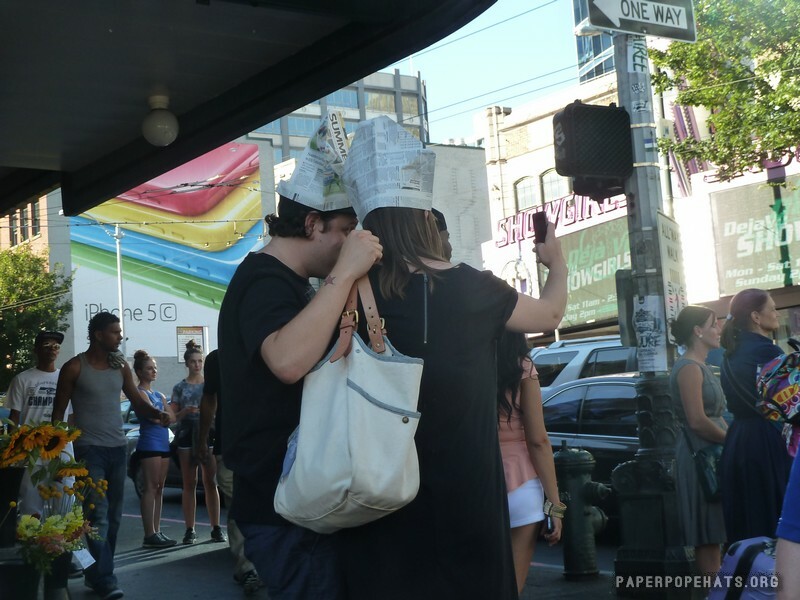 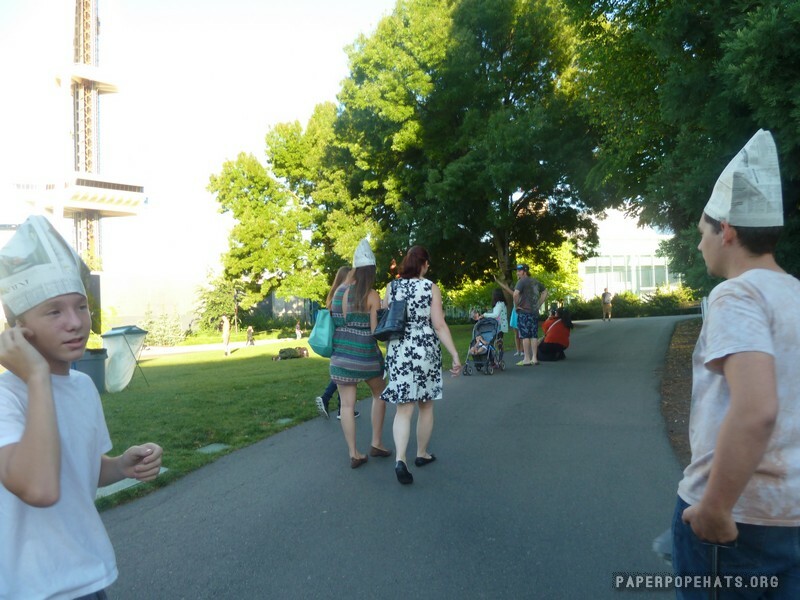 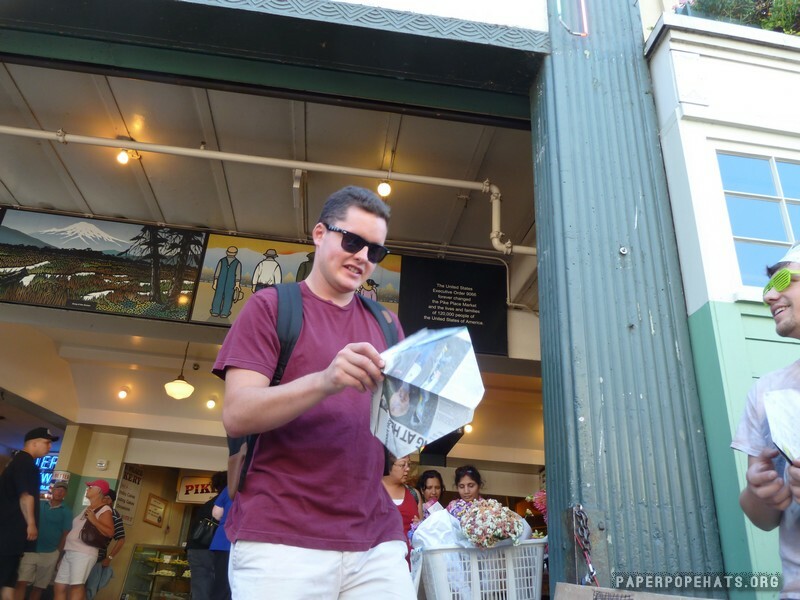 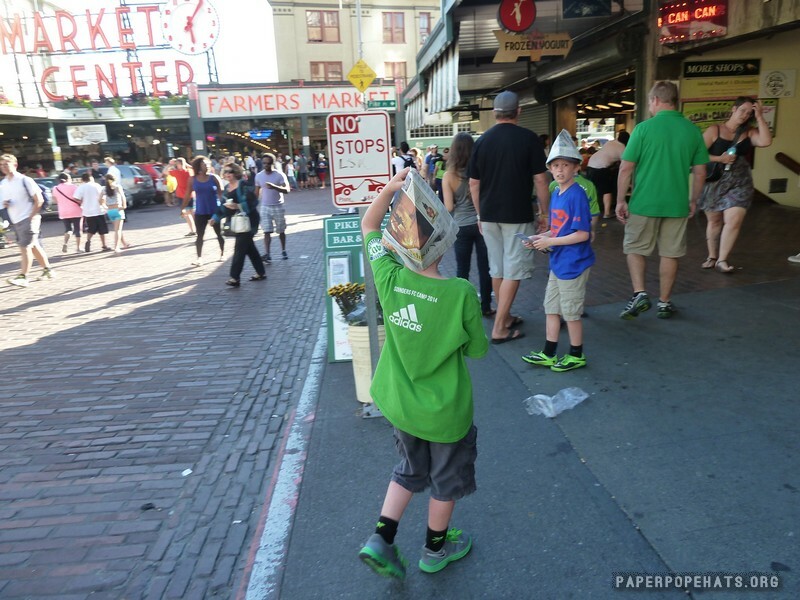 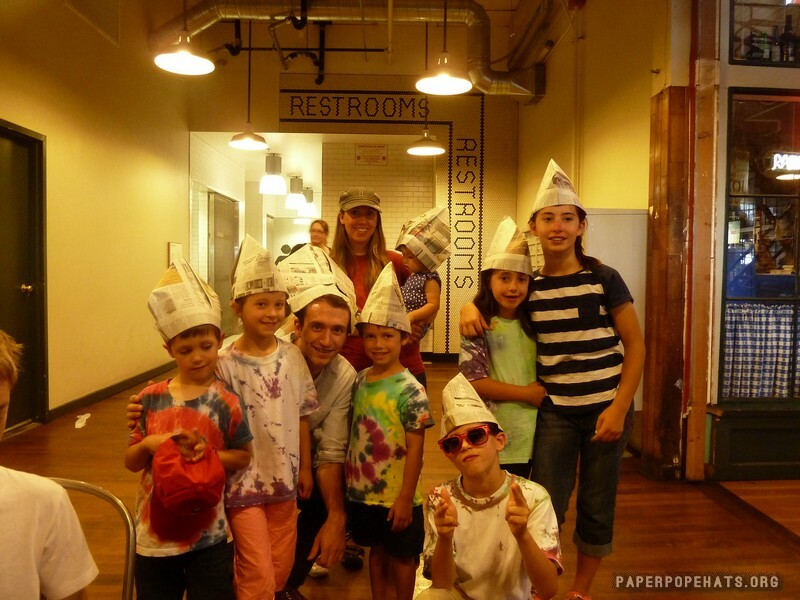 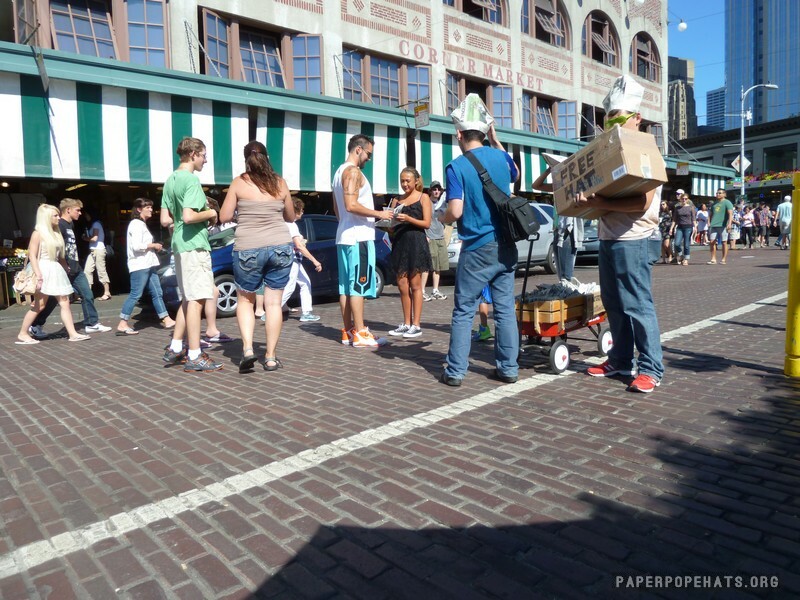 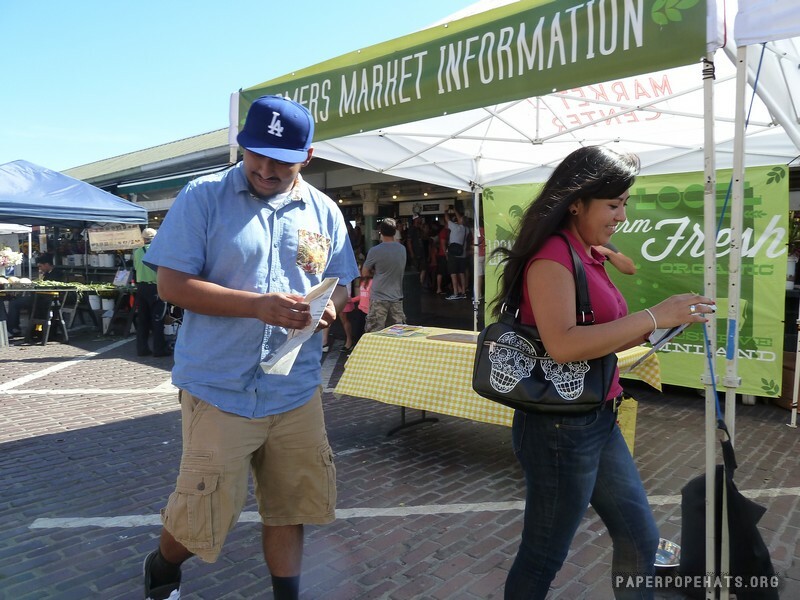 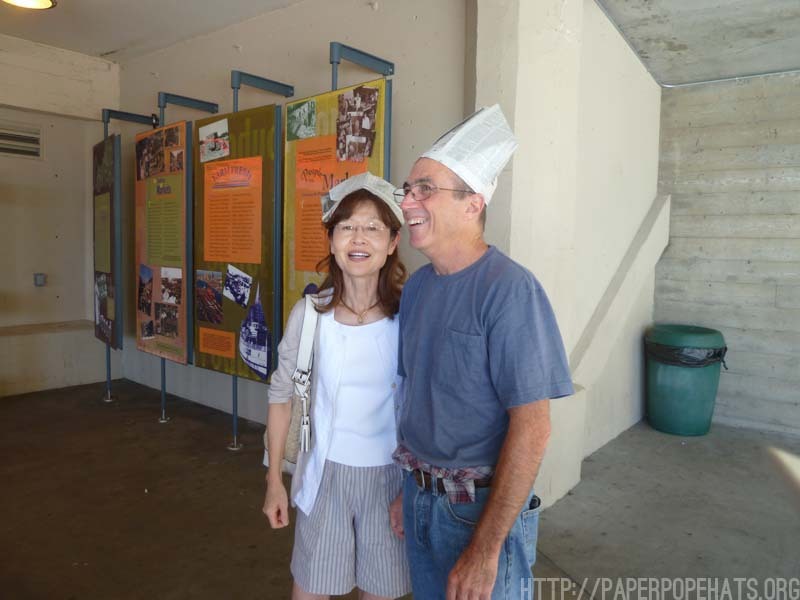 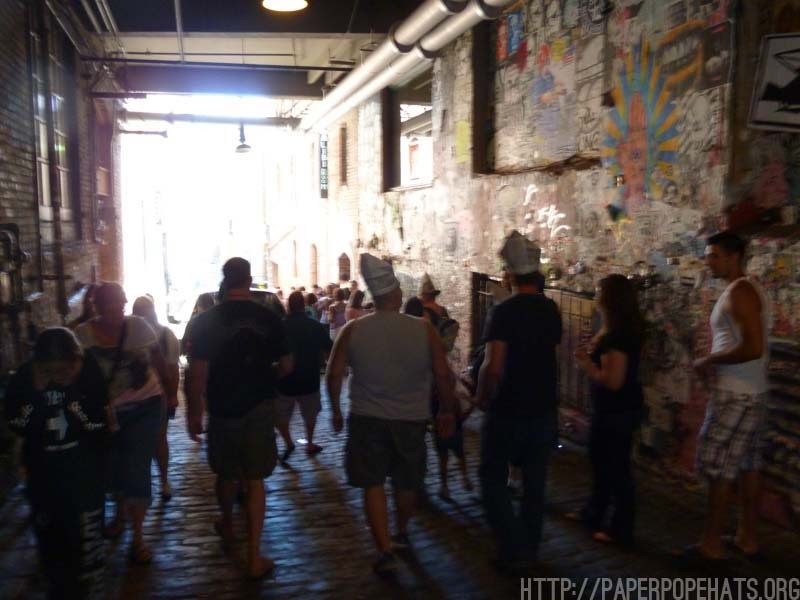 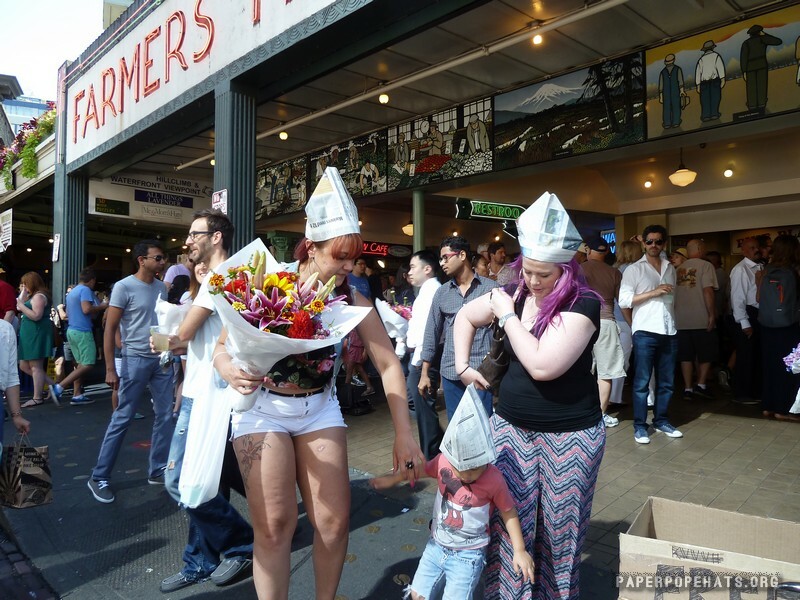 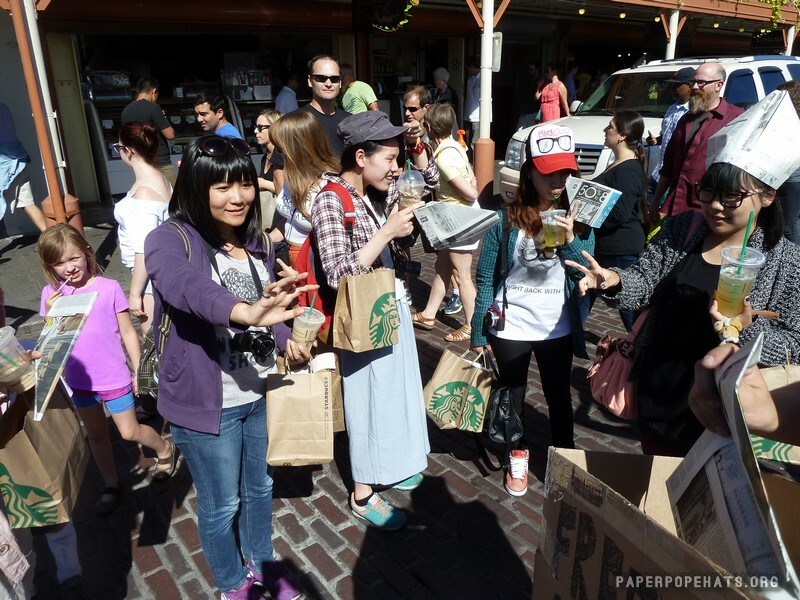 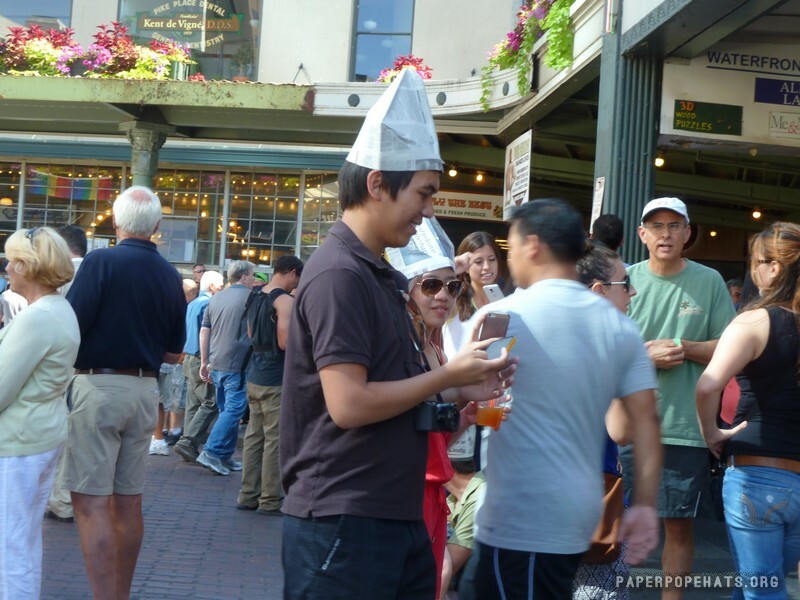 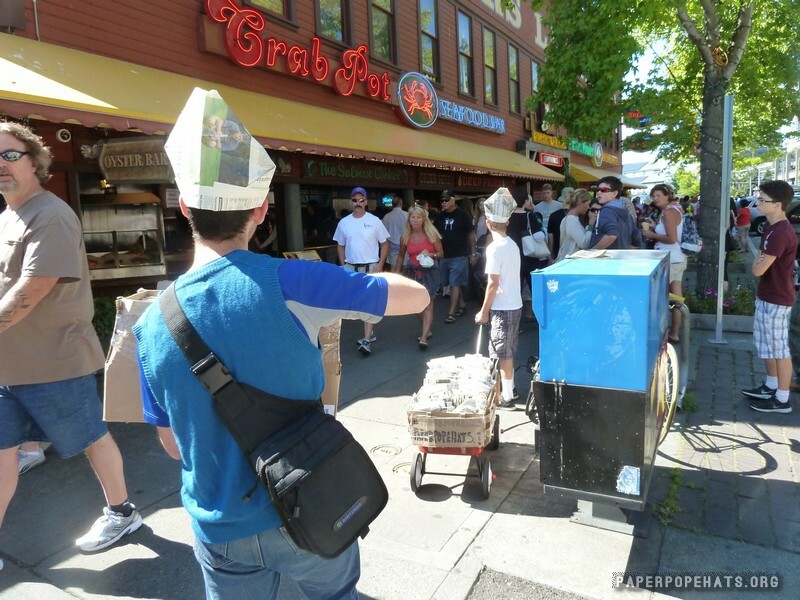 Paper Pope Hats are a way to feel silly and spread smiles to strangers. 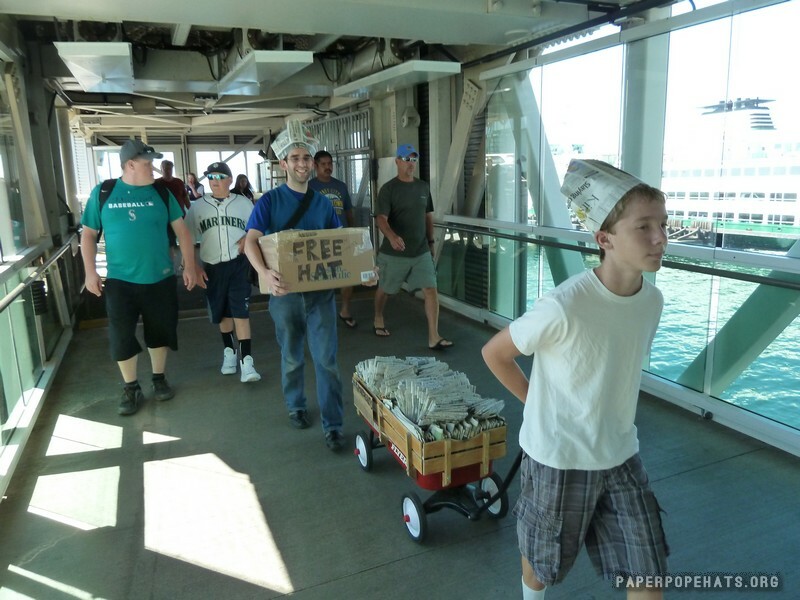 You can make them for free and give them away. 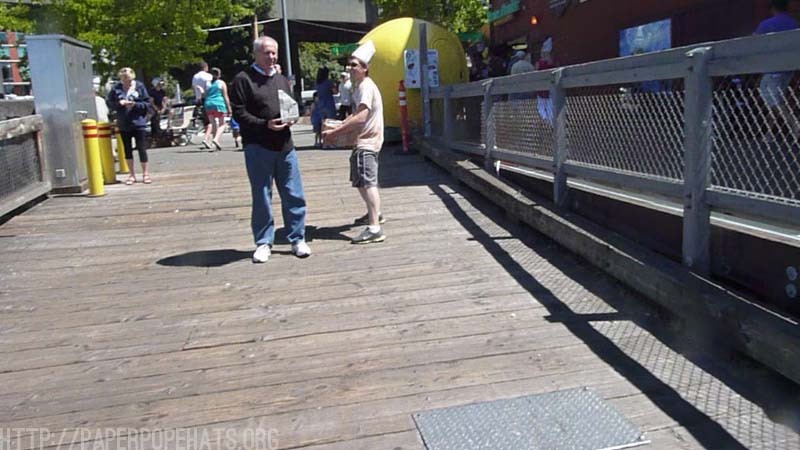 A way to help interact with your fellow human and spread kindness. 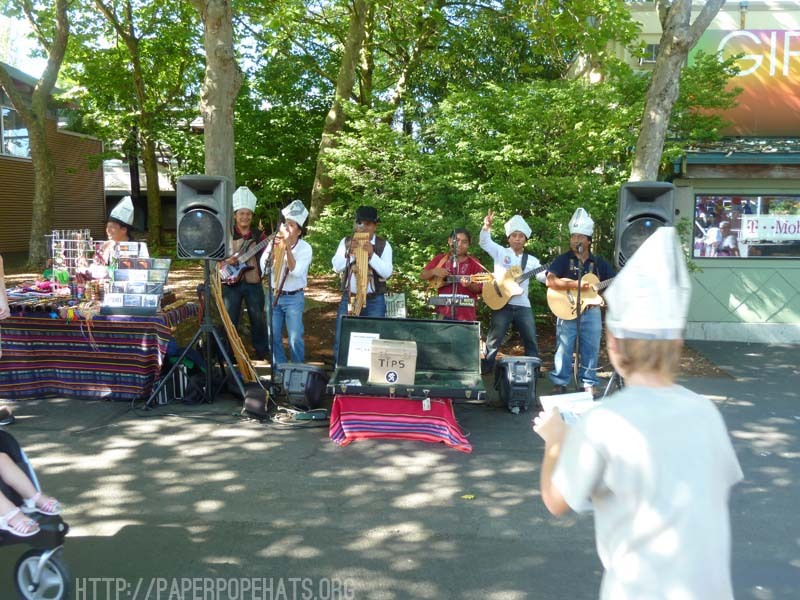 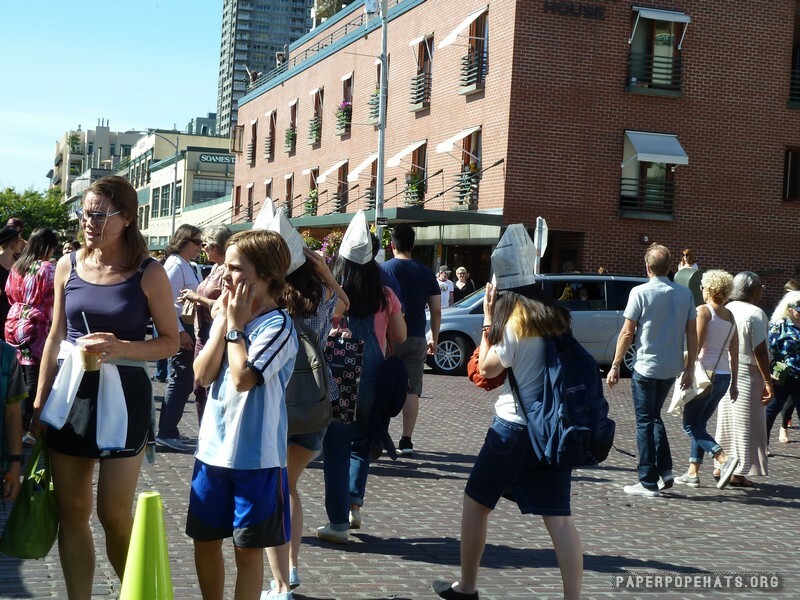 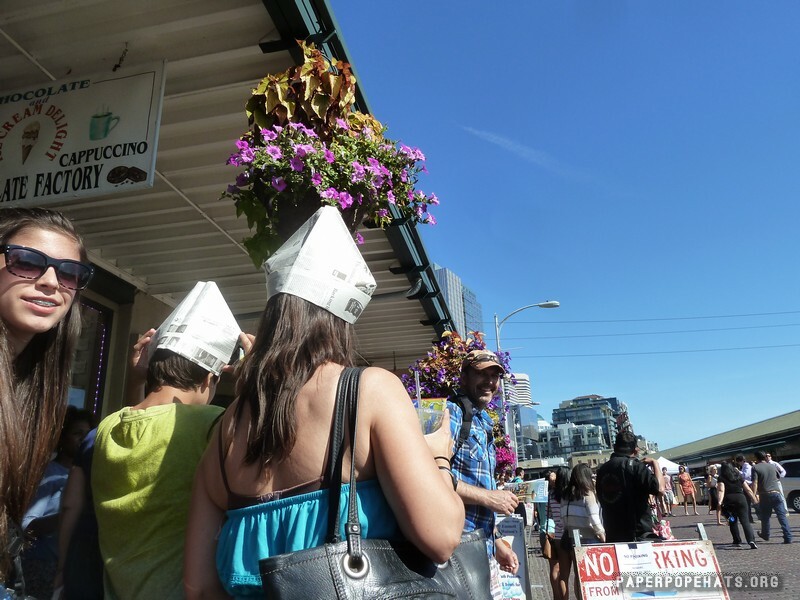 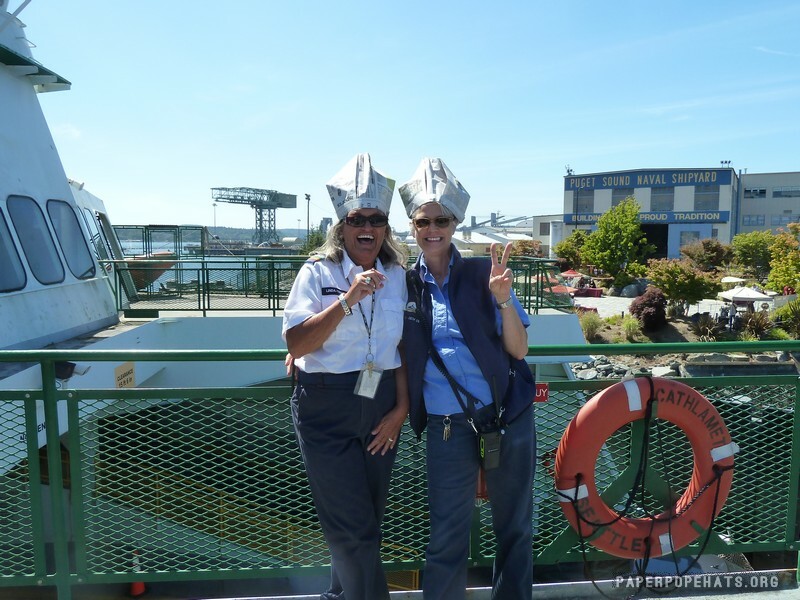 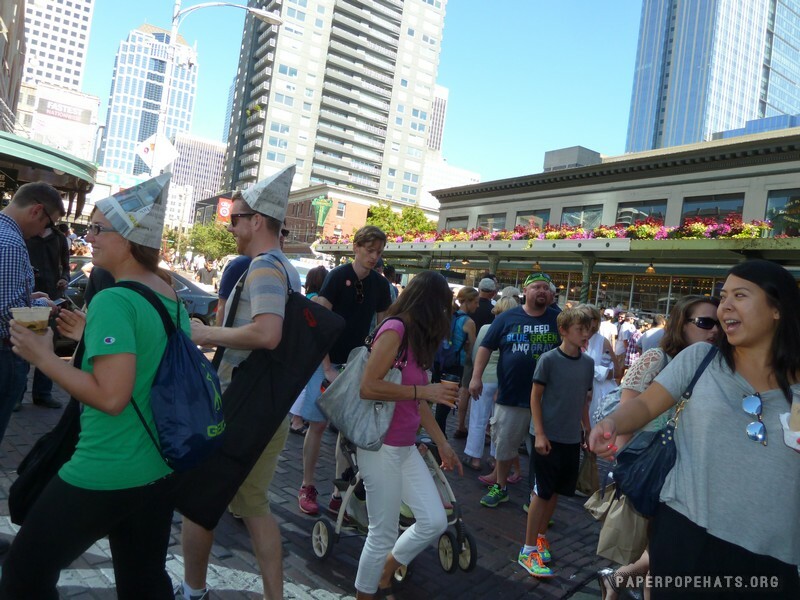 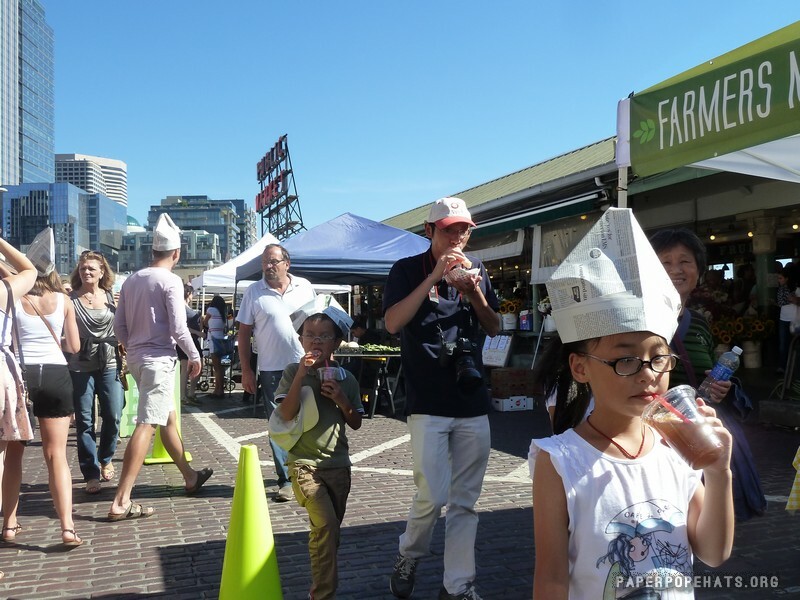 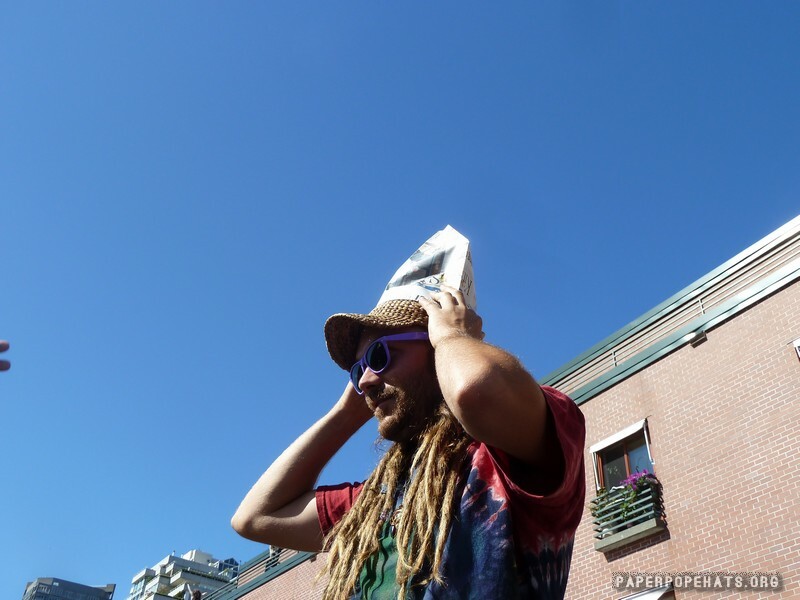 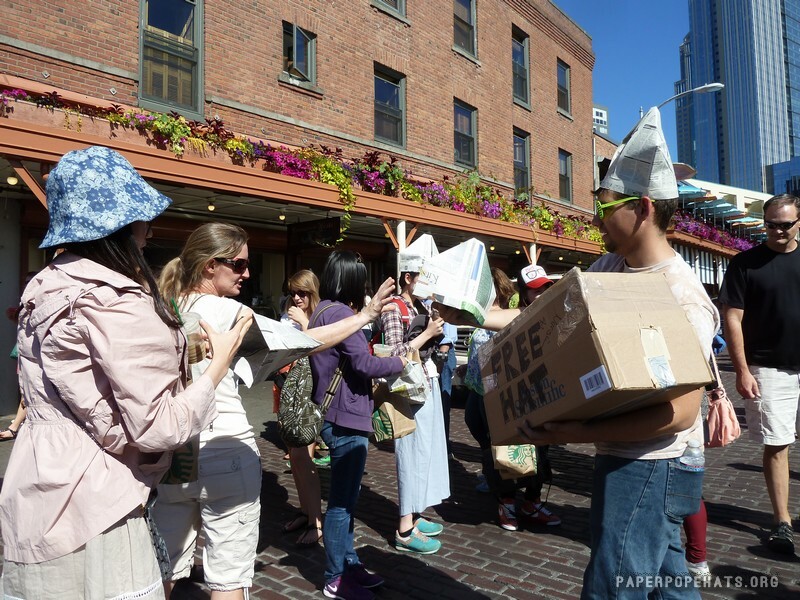 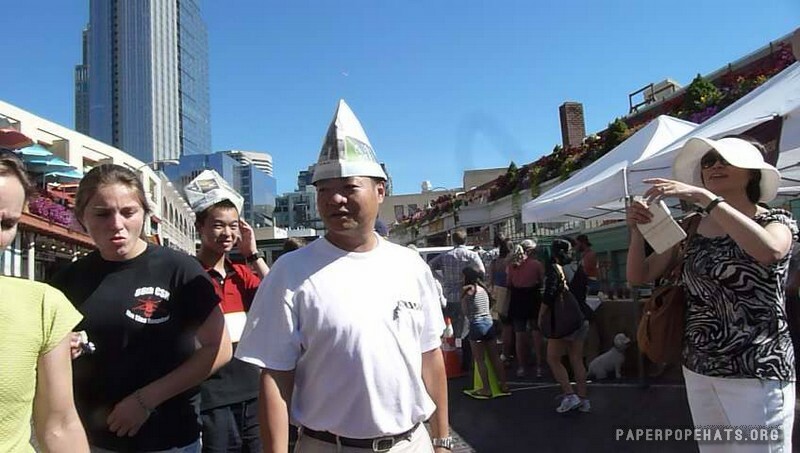 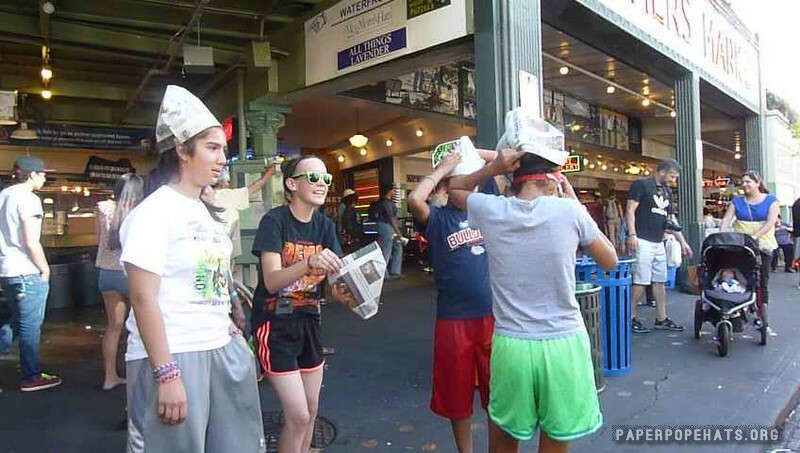 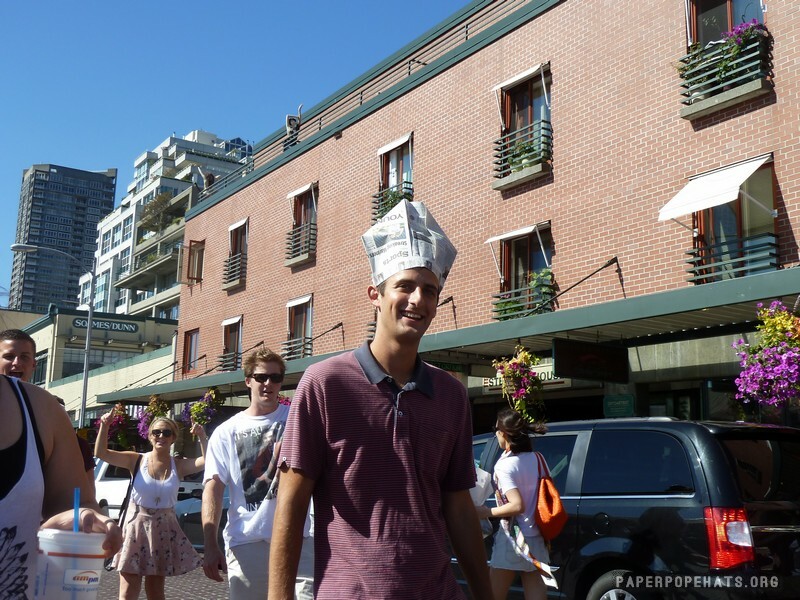 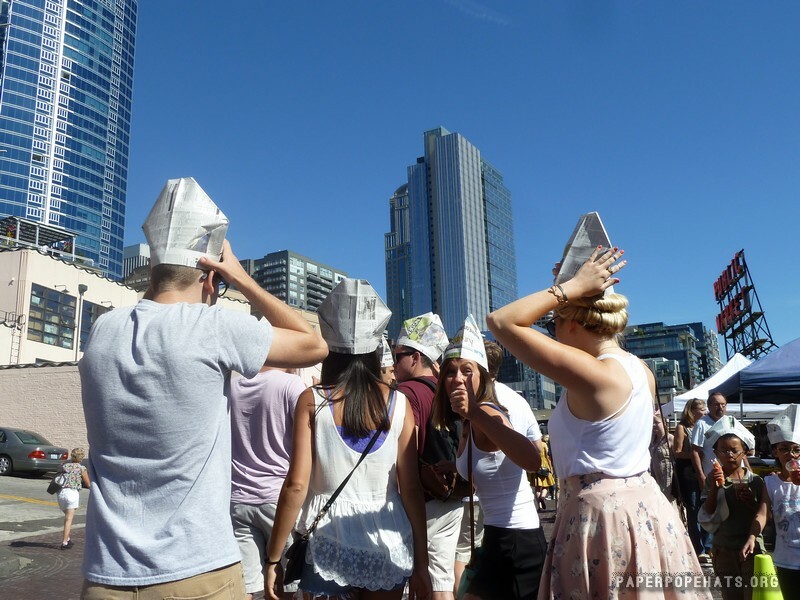 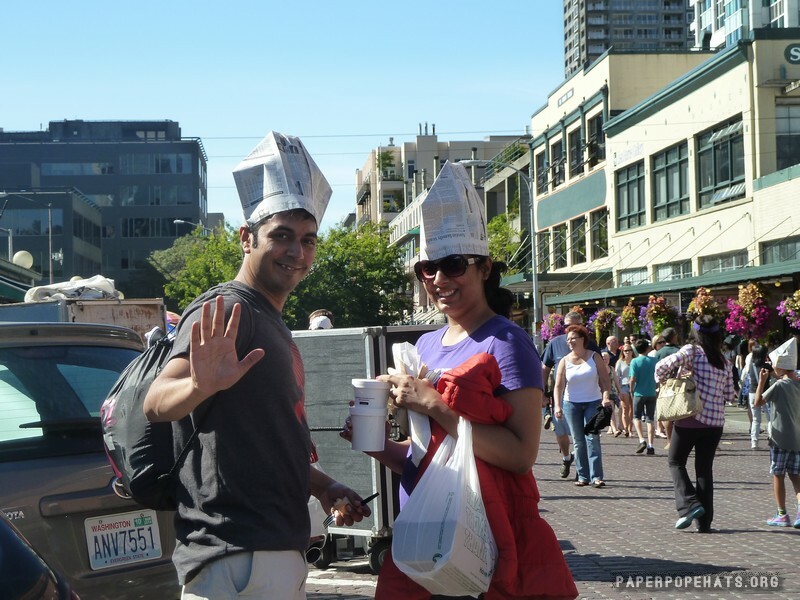 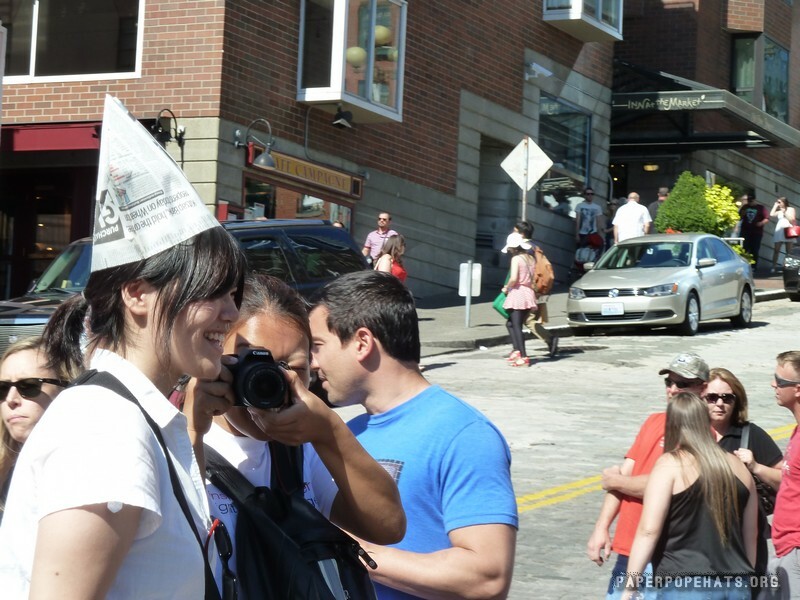 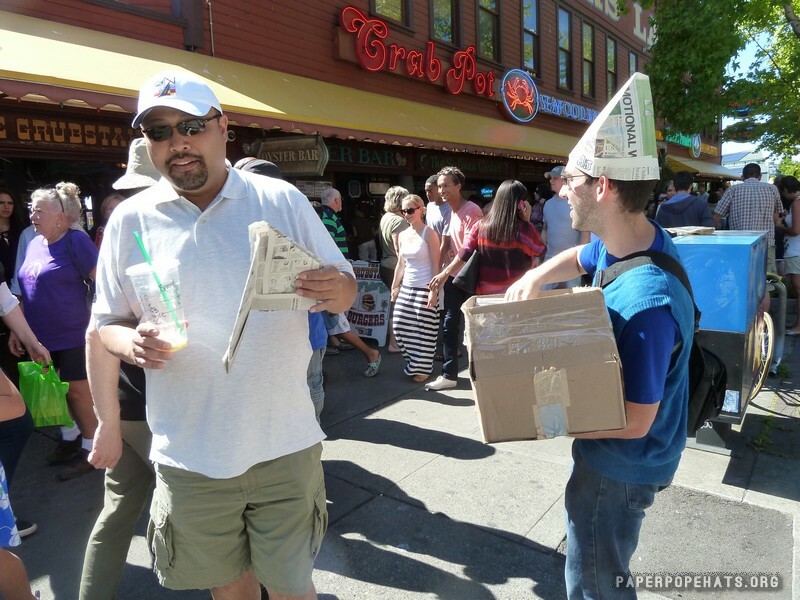 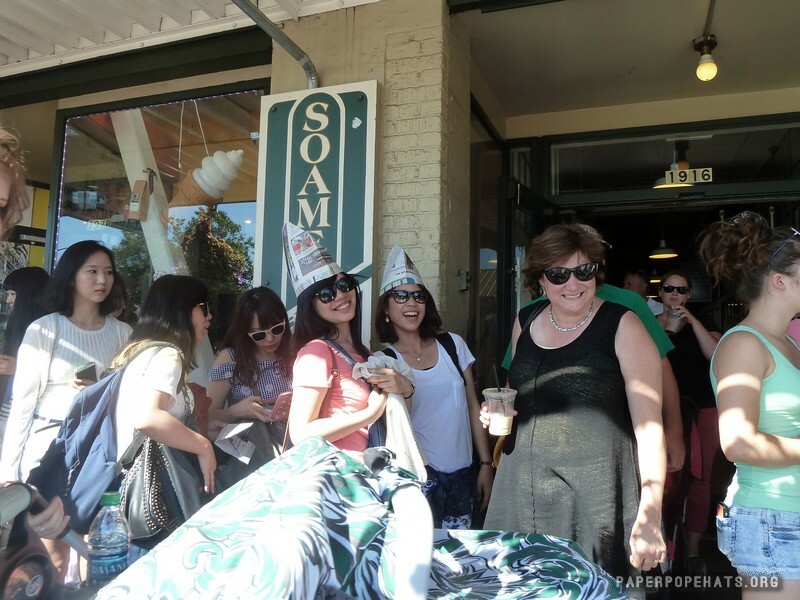 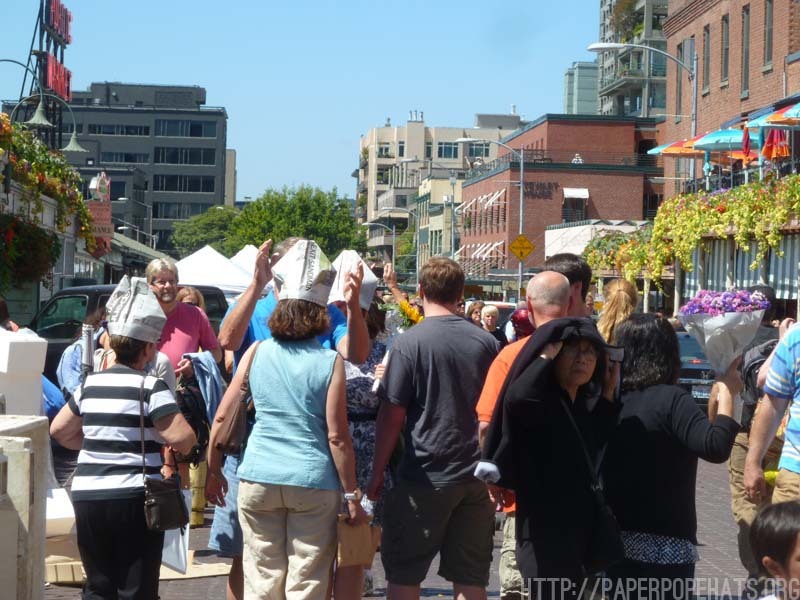 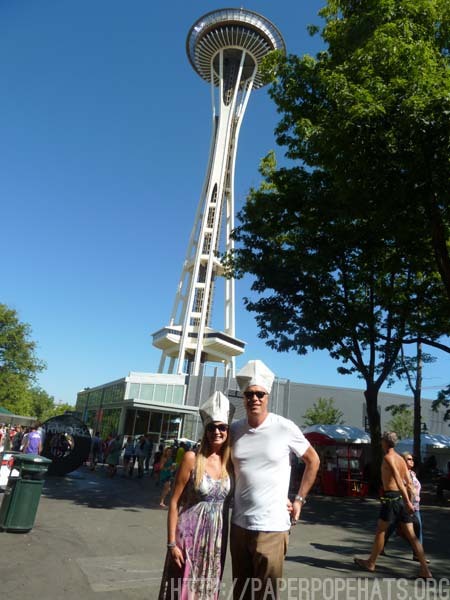 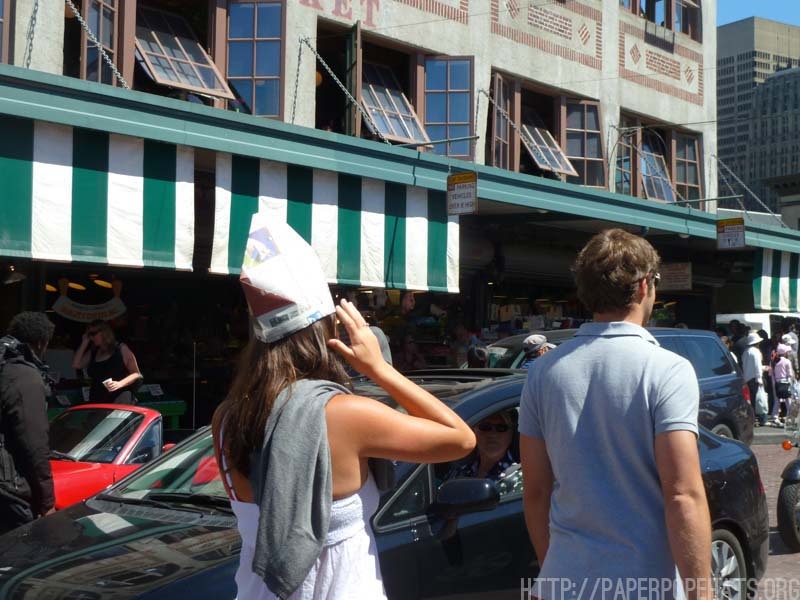 Every day could be Paper Pope Hat day if you wanted, but this year Saturday, August 1st, 2015 we will be in Seattle handing out freely this fun and creative hat! 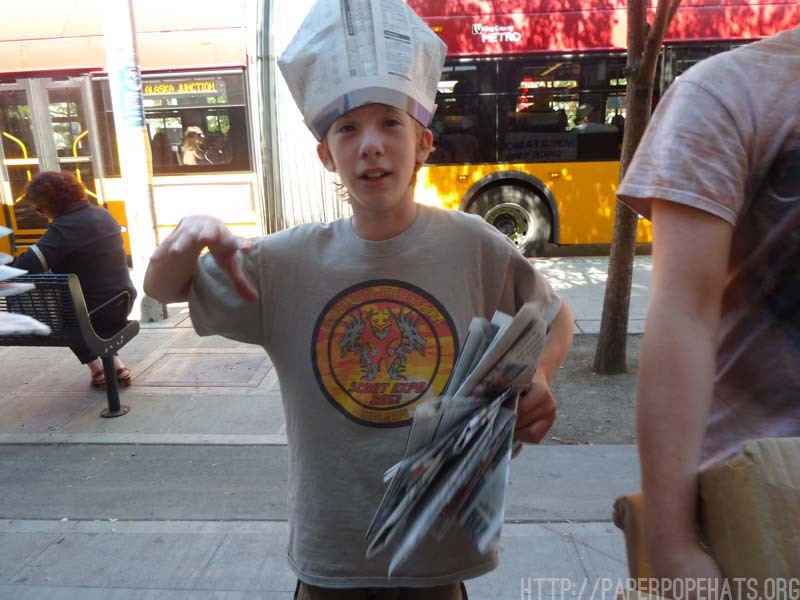 I first learned how to make the Paper Pope Hat in my 12th grade economics class by my teacher Mr.Lee in 2008 at South Kitsap High School. 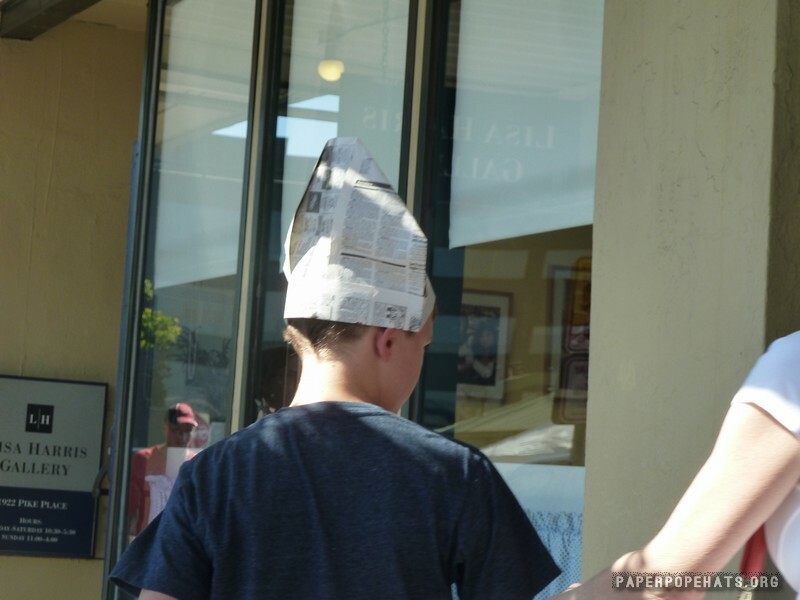 We used the Paper Pope Hats to hold our note cards in the center fold and wear them on our heads and quiz a partner on their own notes. 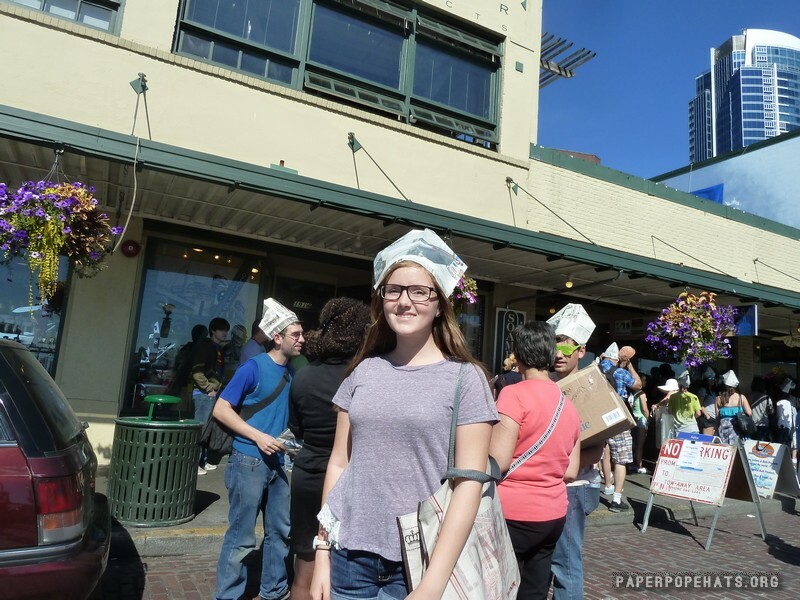 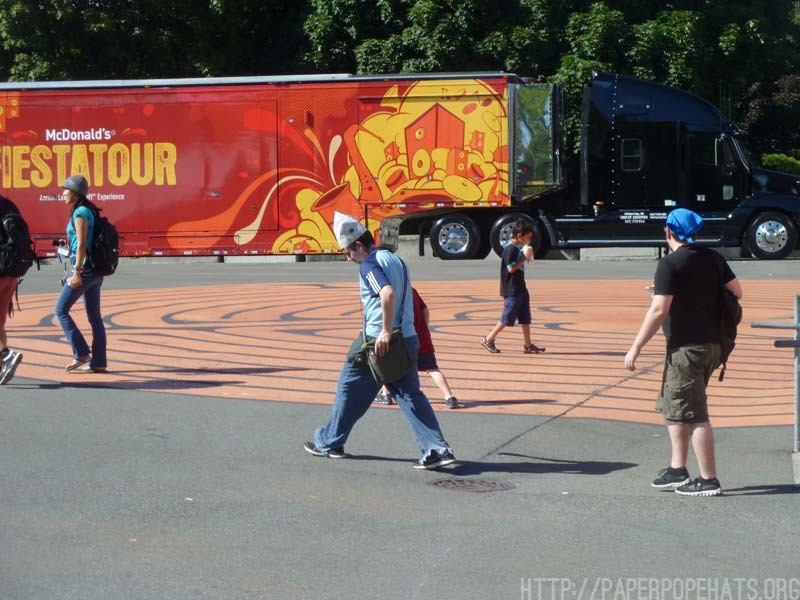 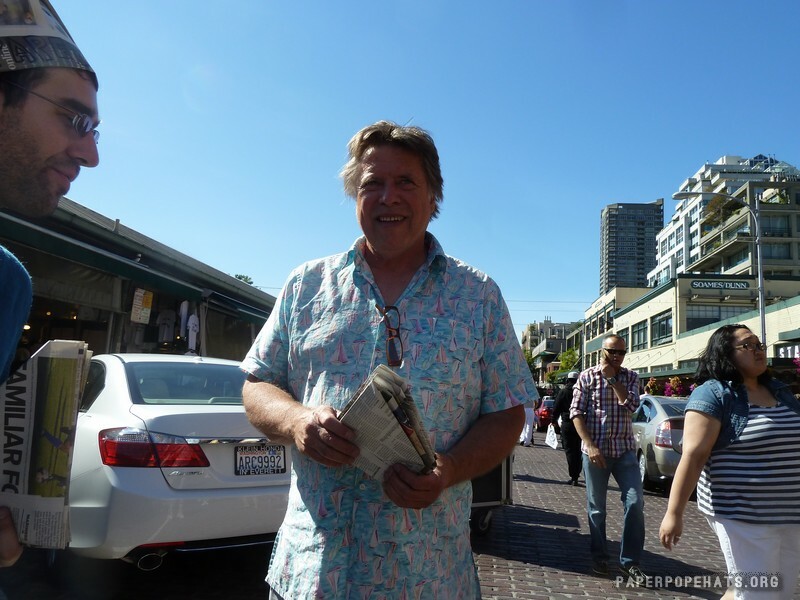 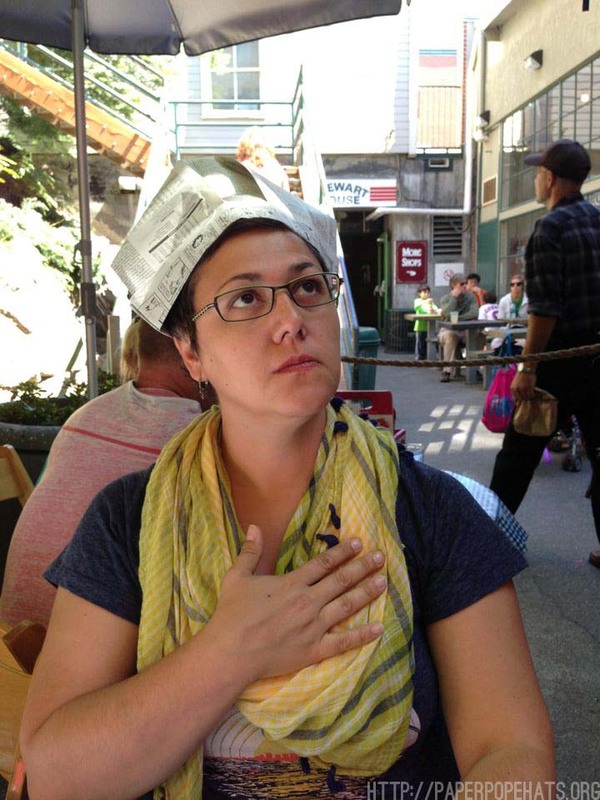 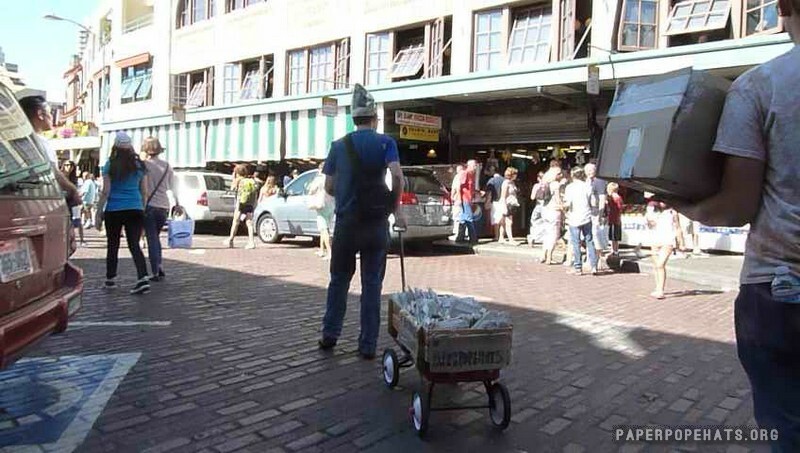 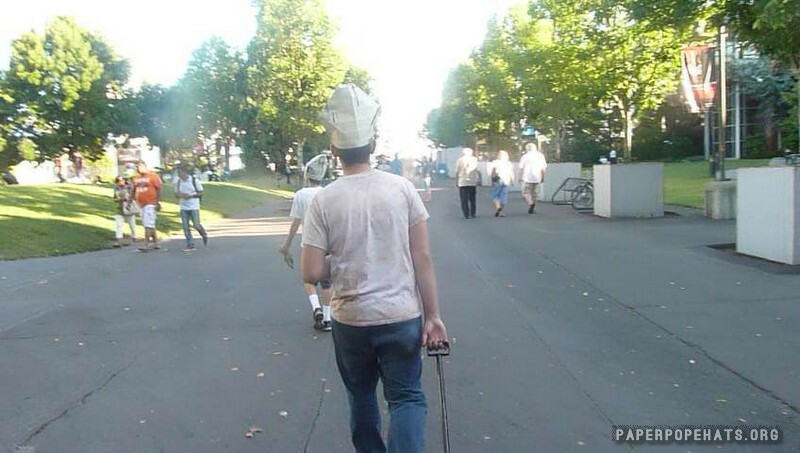 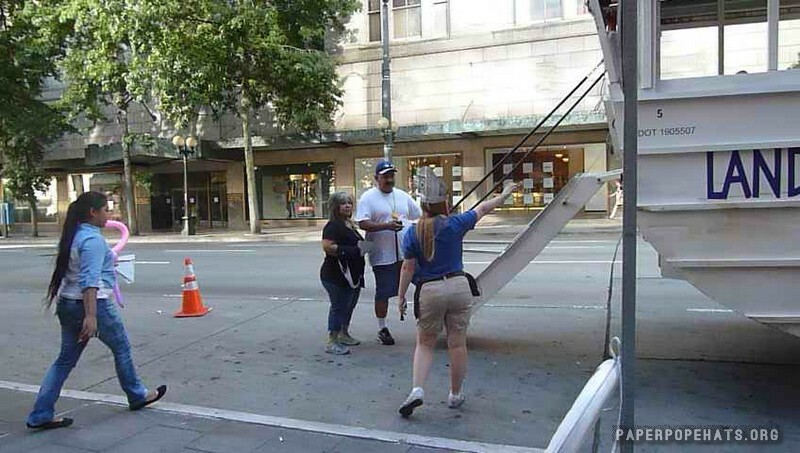 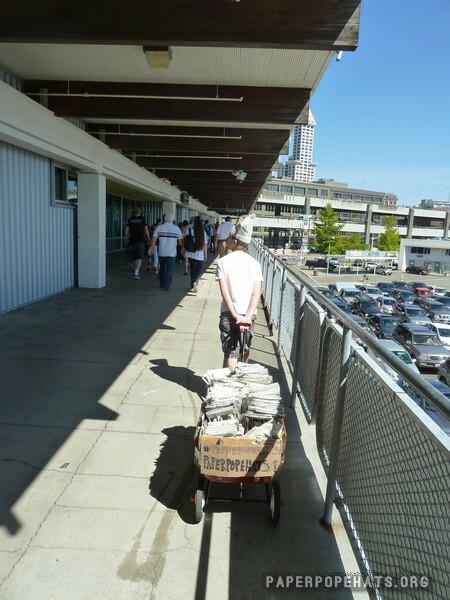 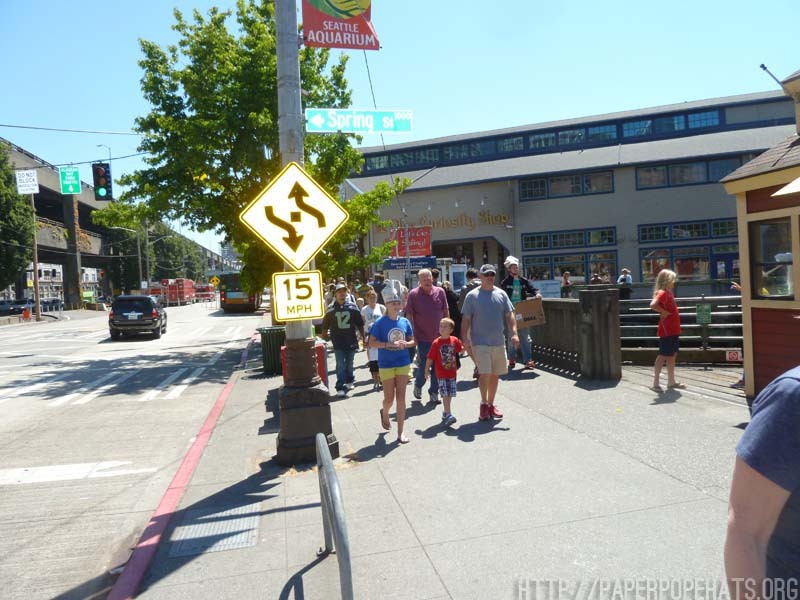 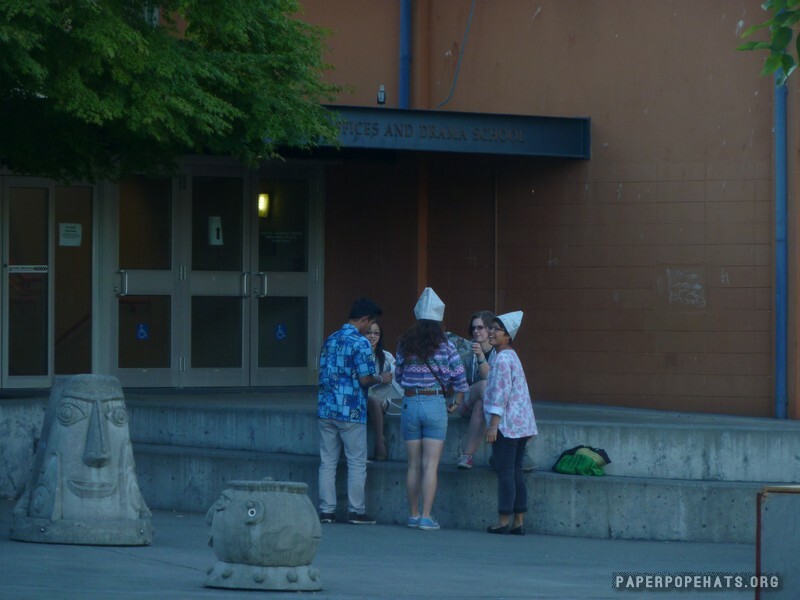 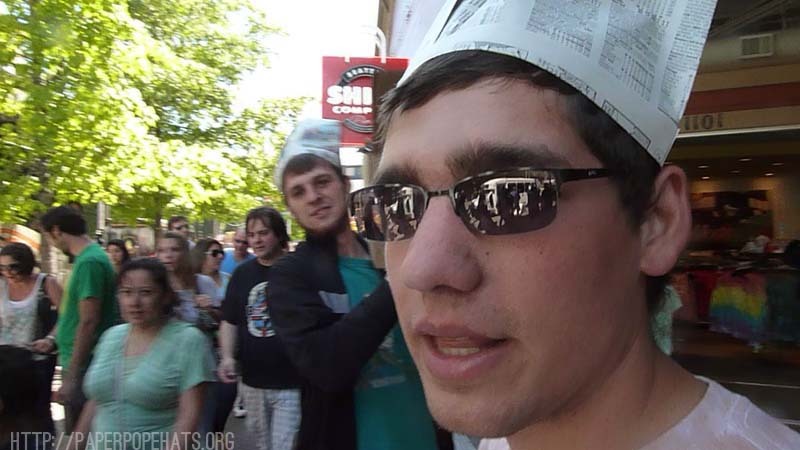 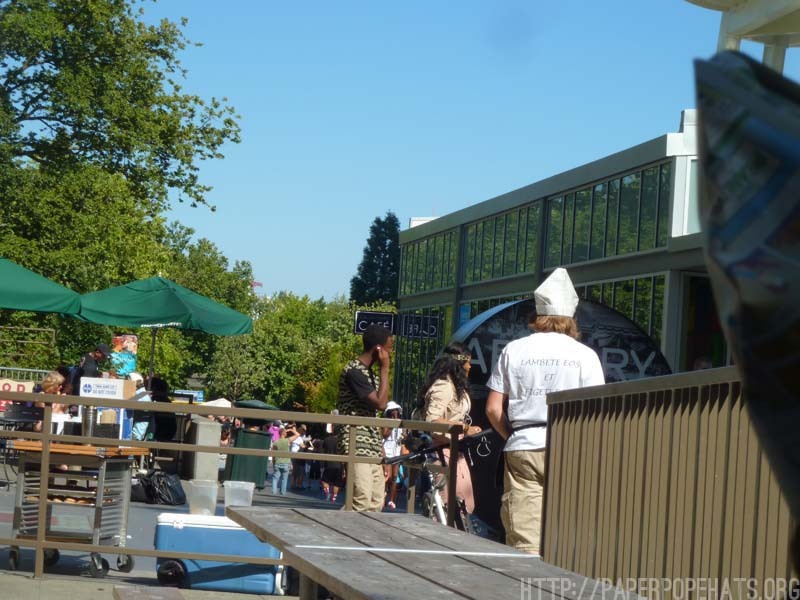 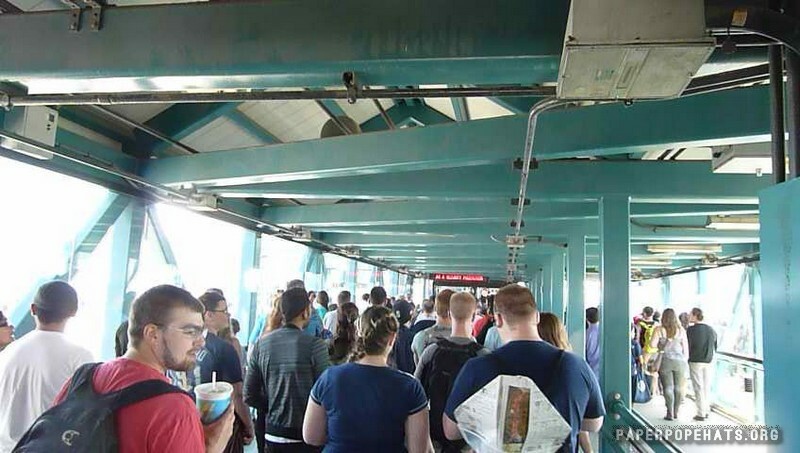 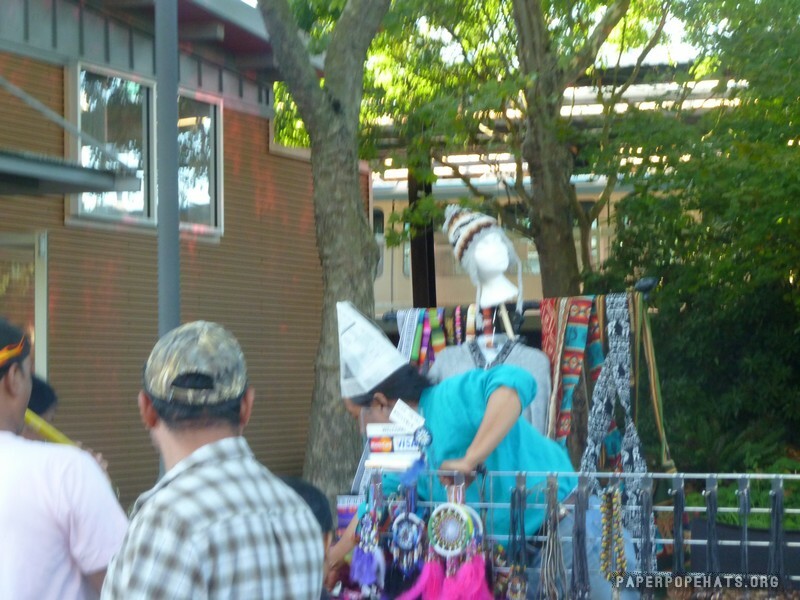 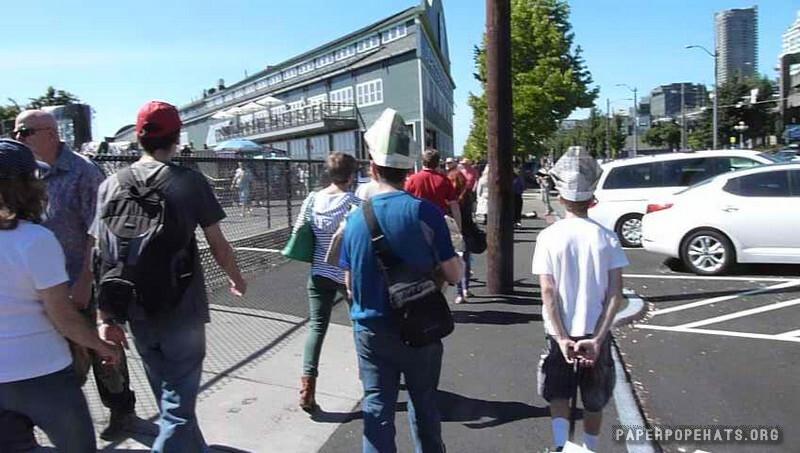 Since then I have taken the Paper Pope Hat out of the classroom and into the real world and have given out THOUSANDS to strangers throughout the Seattle-Area and just whenever I feel like wearing them. 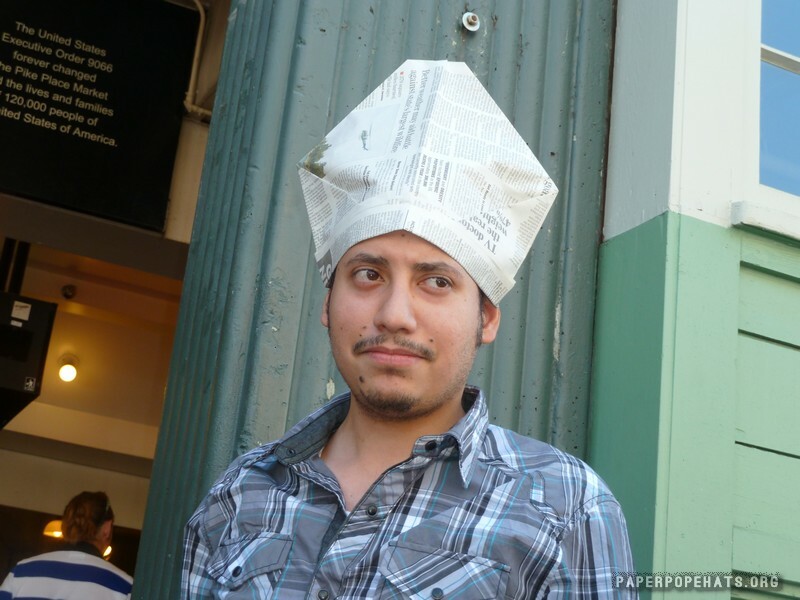 The Paper Pope Hat, as my older brother Mark put it, "It's a way to burst someone's social bubble" and say, "Hey, I'm wearing a crazy newspaper hat do you want one too?" 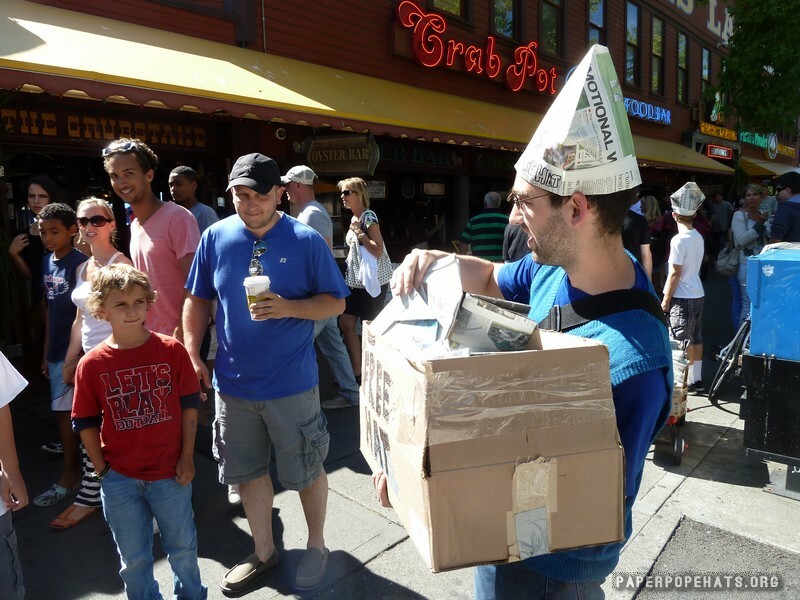 and generally people find it funny, creative and want one. 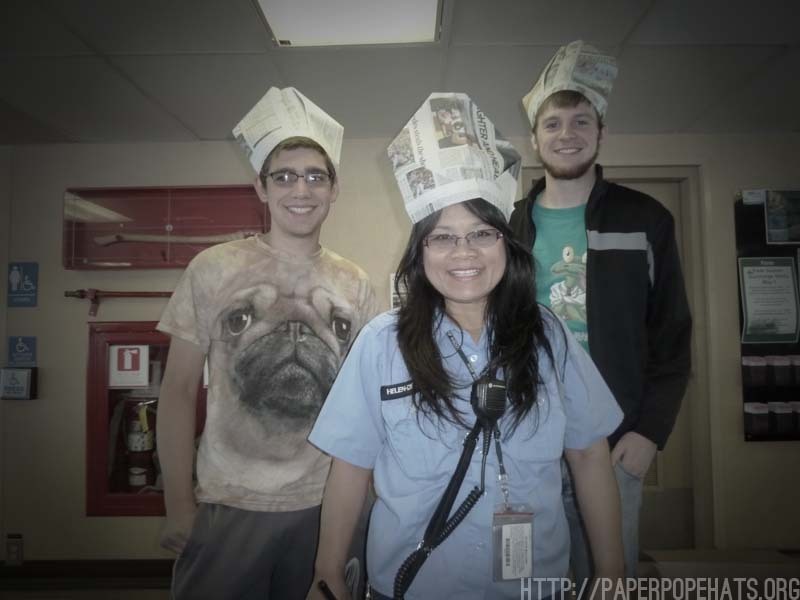 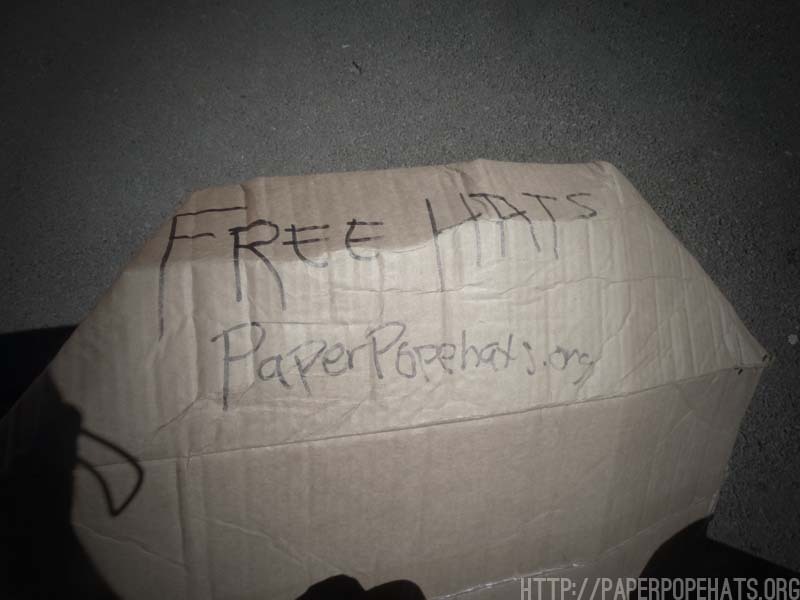 My Mission with PaperPopeHats.org is to show the world a practically free and creative way to use something old into something new and to just be silly. 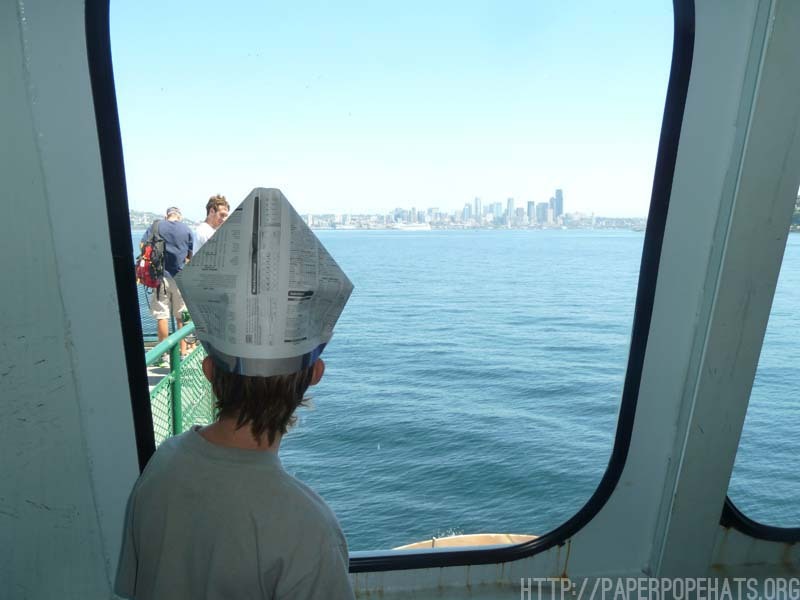 I have had awesome conversations with strangers just by wearing the Paper Pope Hat and giving them away feels even better because it will make someone's day and it's at almost no cost to you. 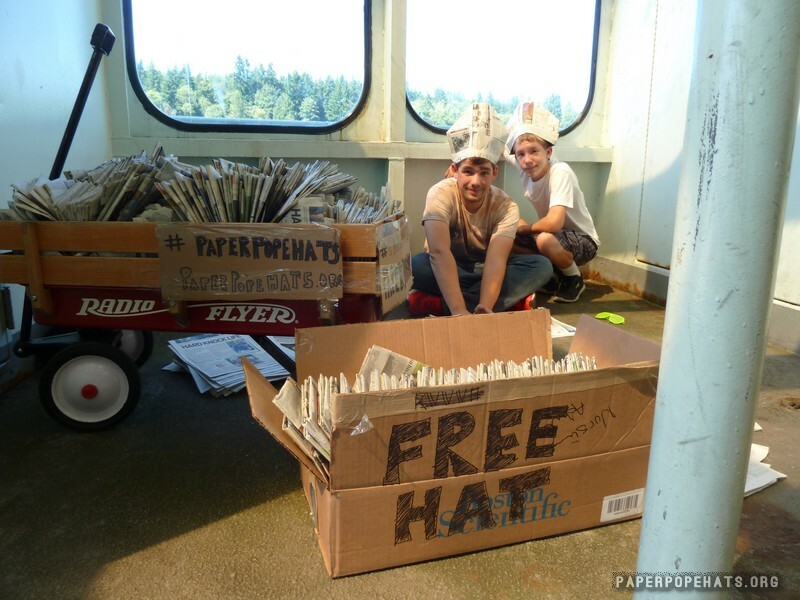 So grab a stack of old newspaper from your coffee table and fold some paper and make someone's day today!